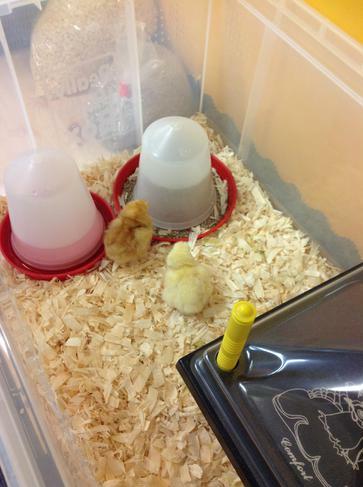 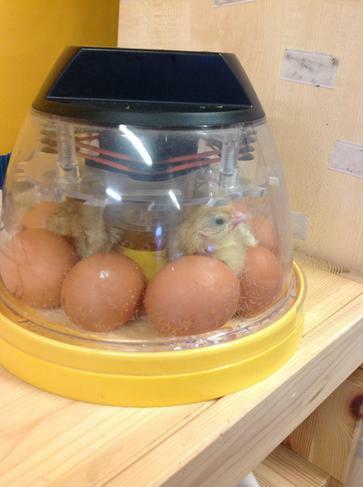 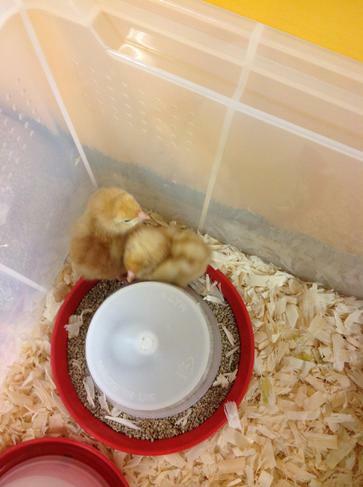 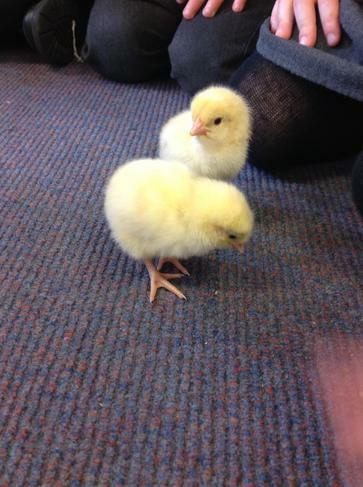 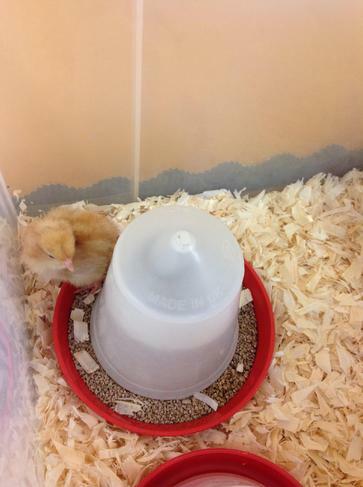 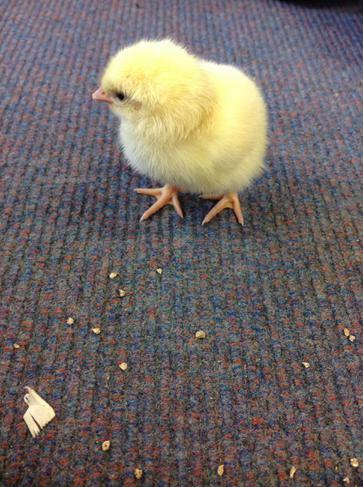 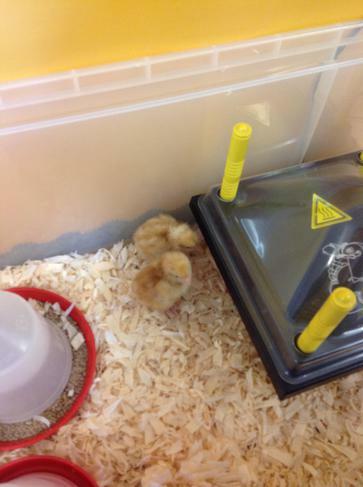 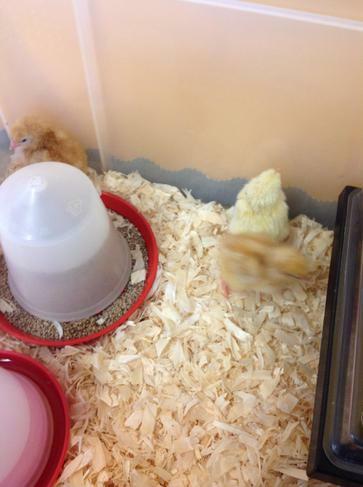 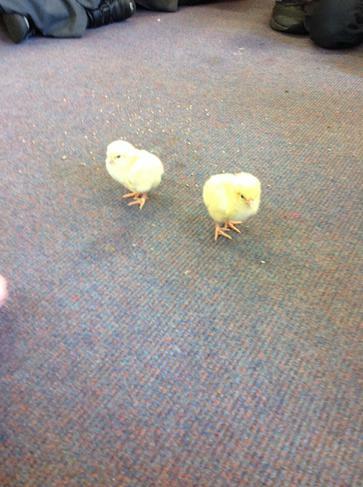 Our chicks hatched on Thursday and Friday. 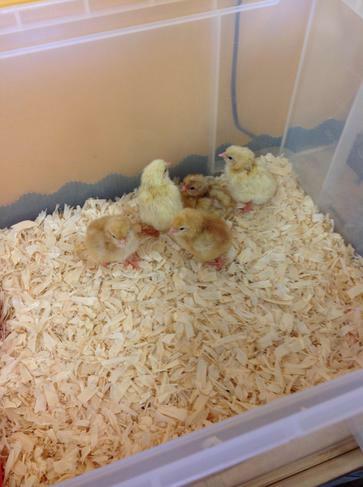 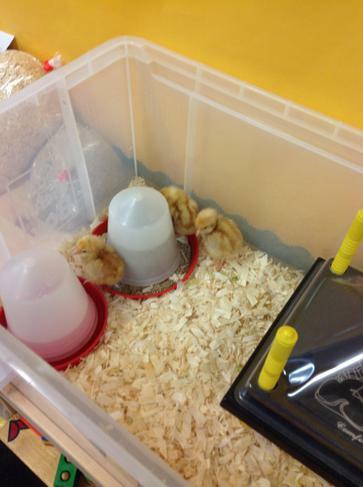 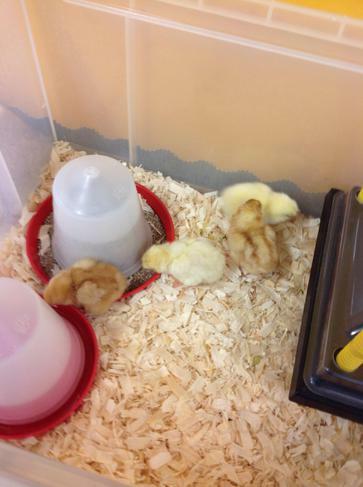 We have 8 chicks; 3 yellow ones and 5 brown ones. 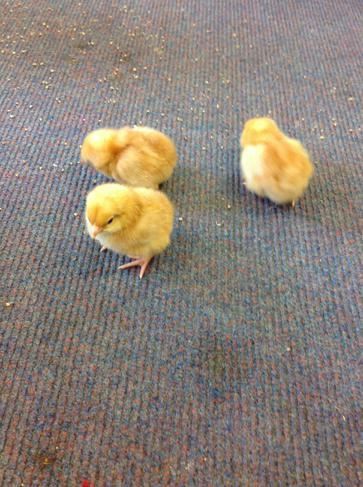 It has been a very exciting week watching them eating, drinking and pooing on the carpet!! 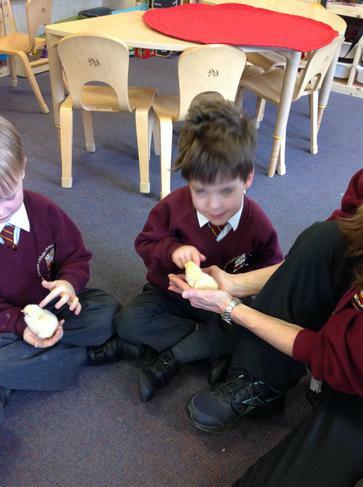 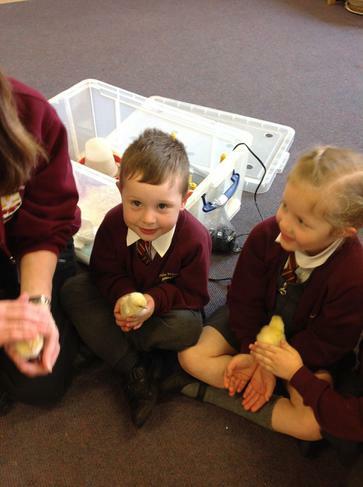 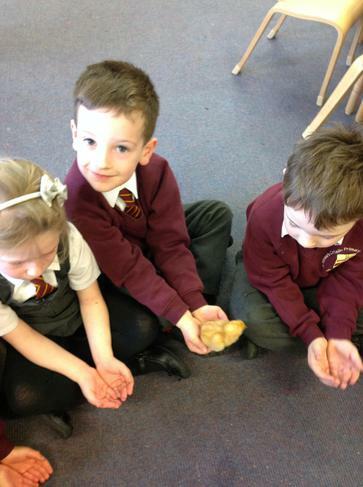 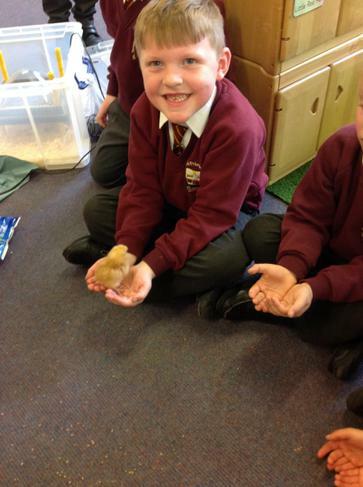 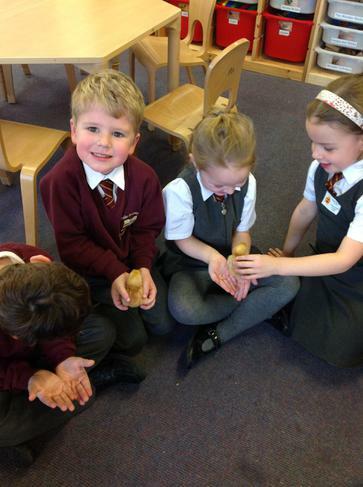 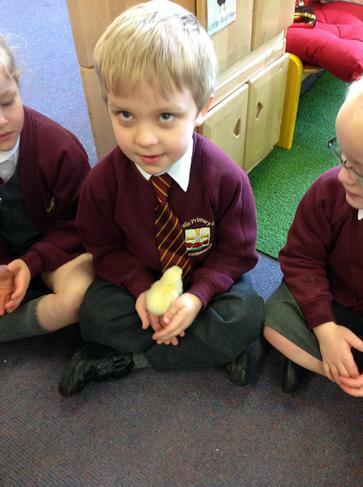 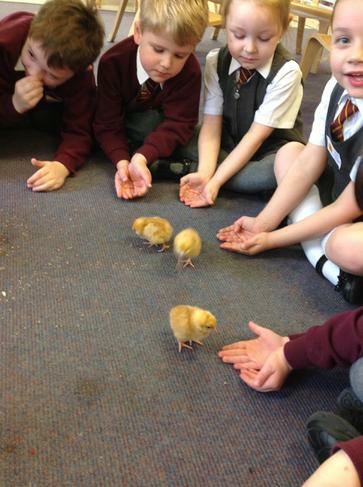 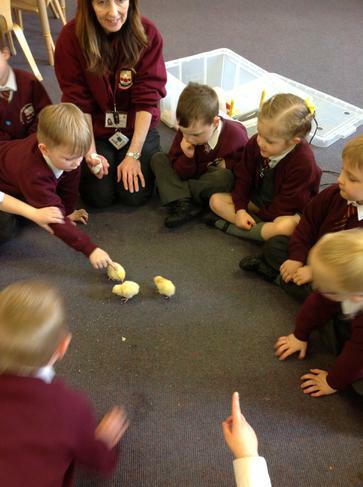 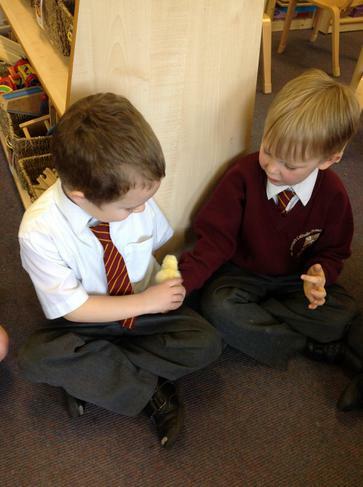 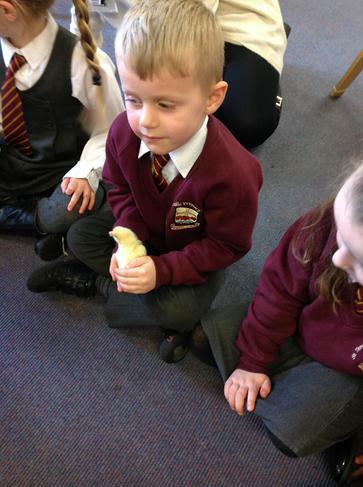 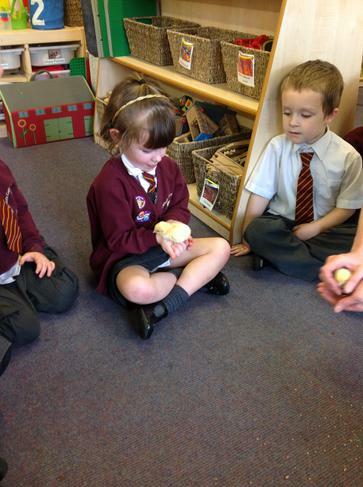 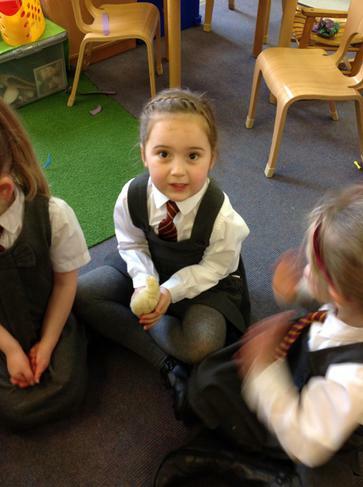 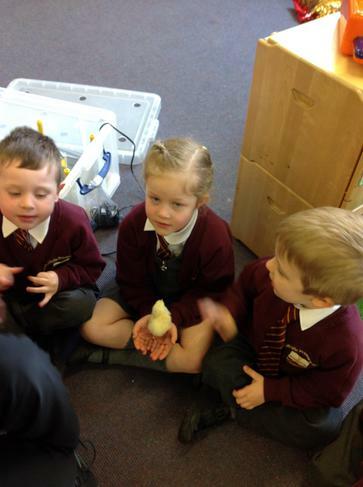 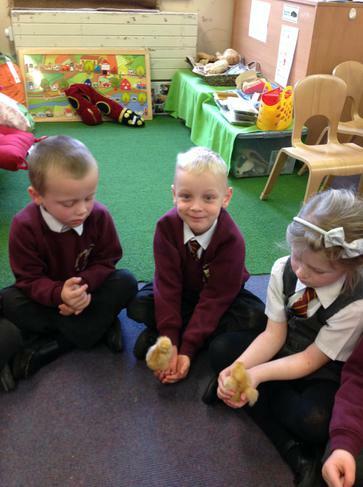 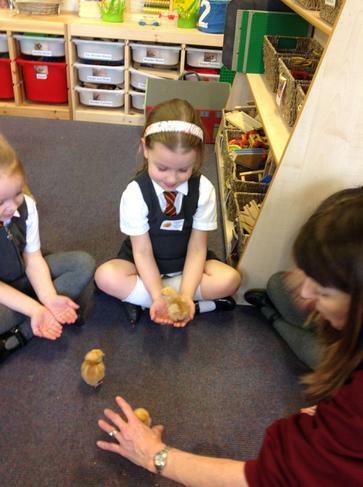 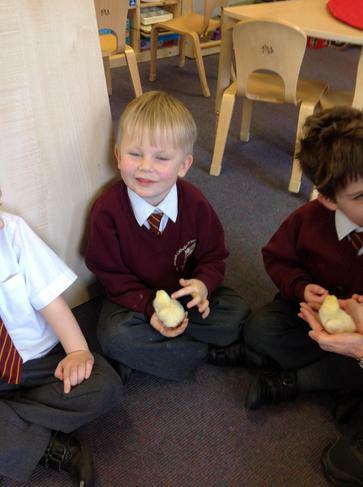 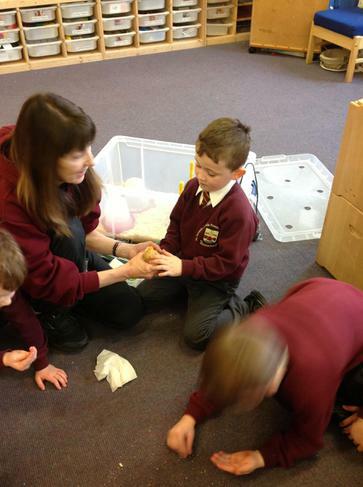 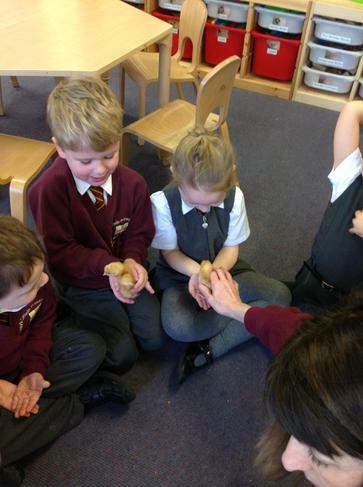 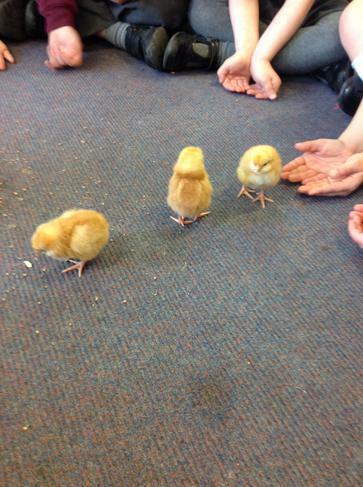 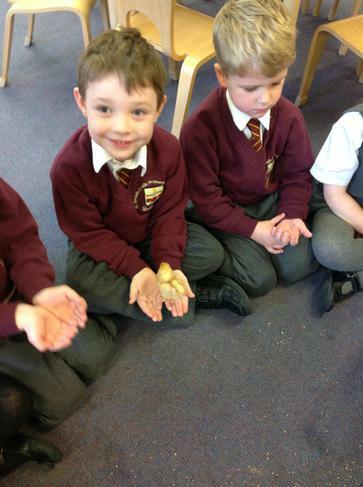 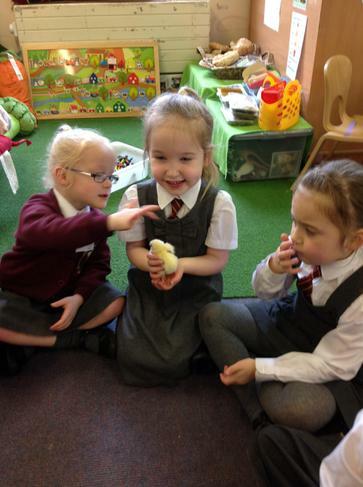 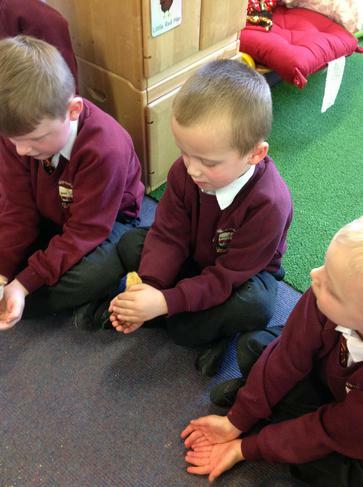 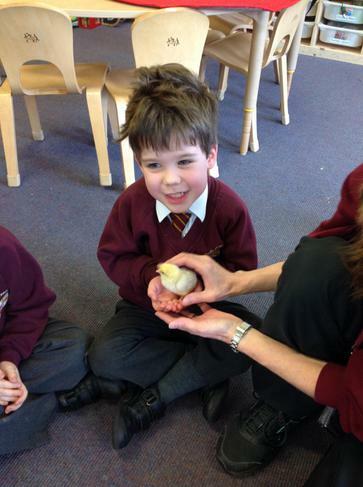 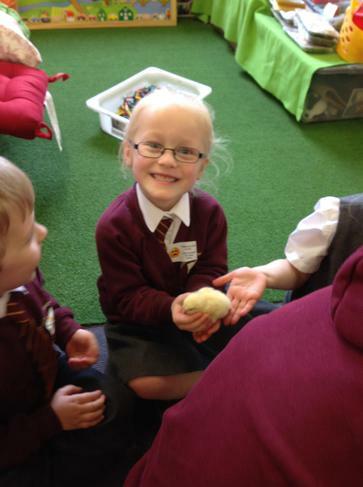 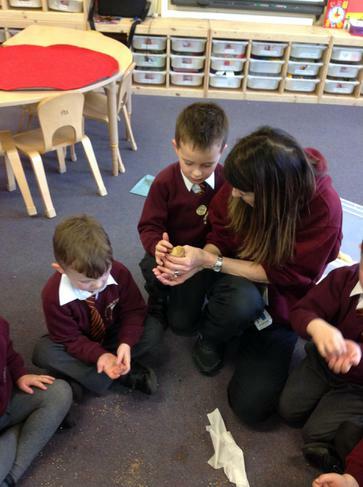 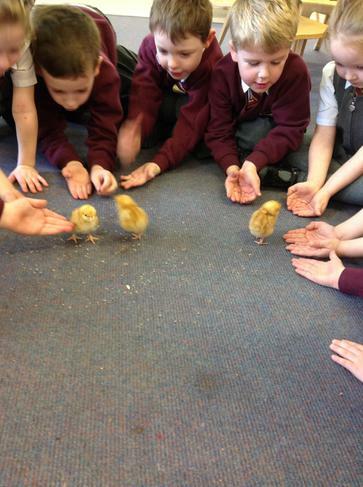 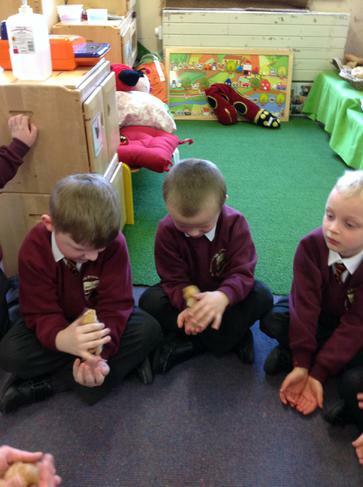 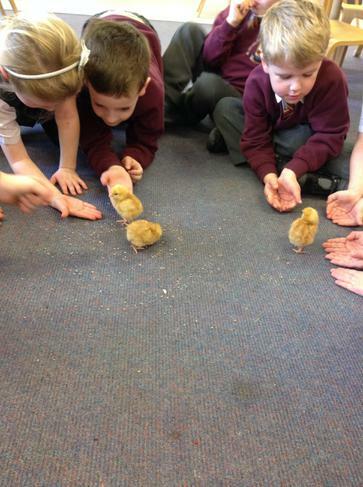 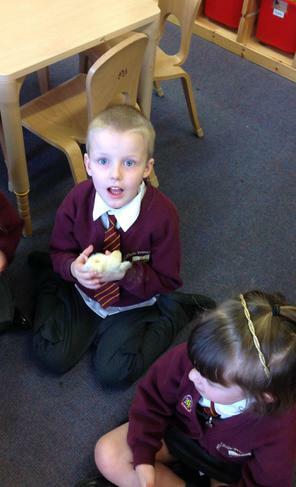 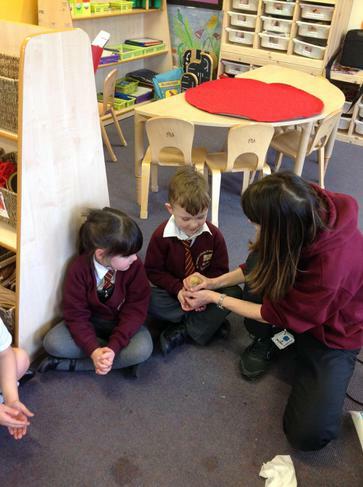 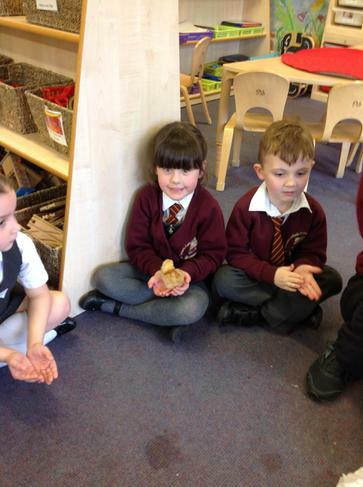 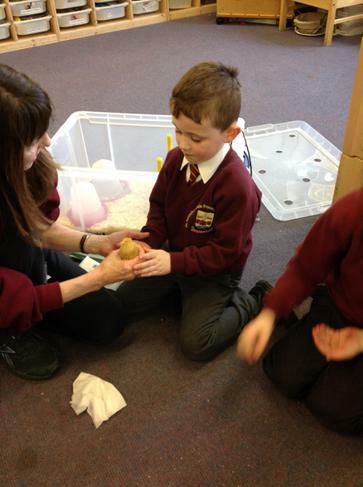 We have all held the chicks and are looking forward to playing with them next week. 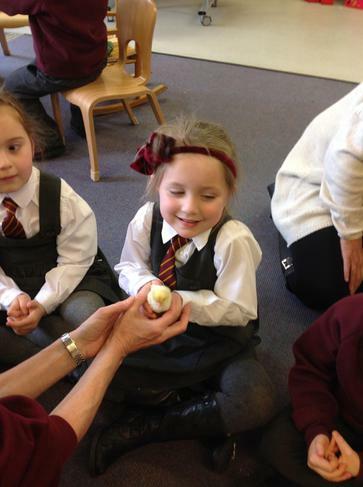 Our eggs arrived today from Bowland Farm. 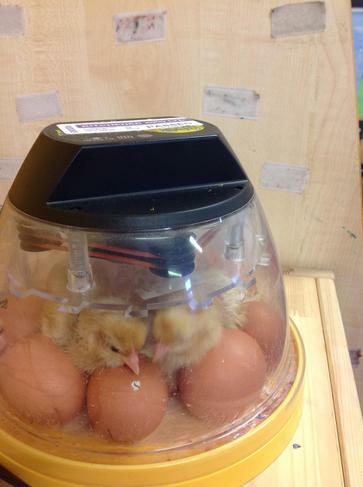 Keep watching this for space more photos as the chicks hatch and grow. 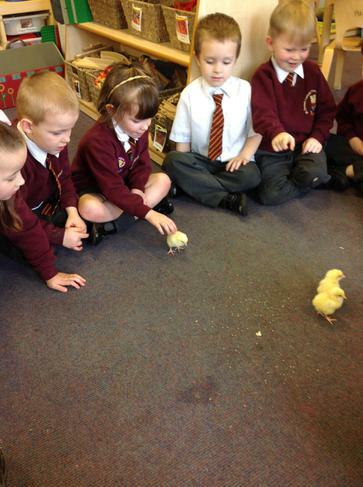 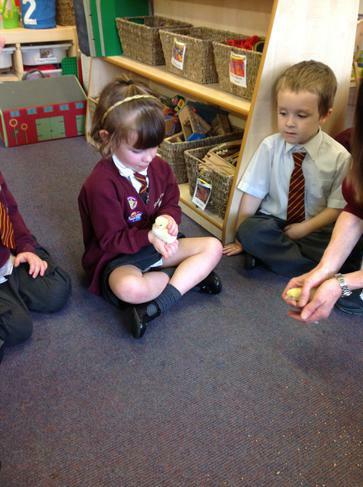 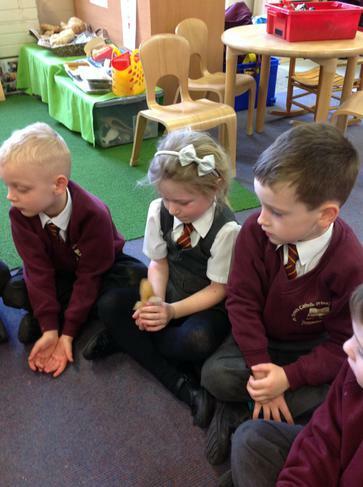 Reception read The Little Red Hen during book week. 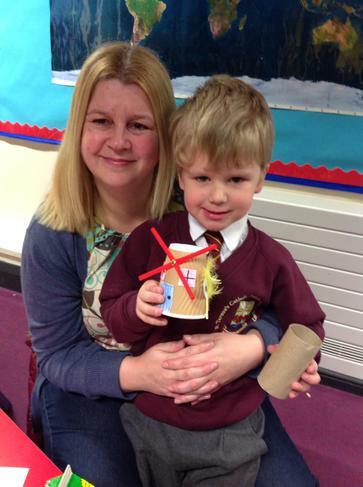 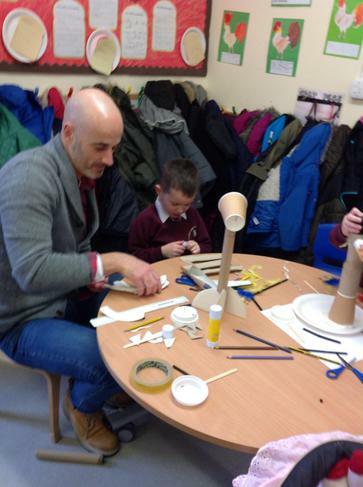 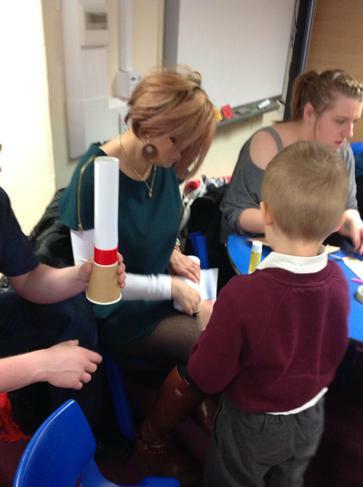 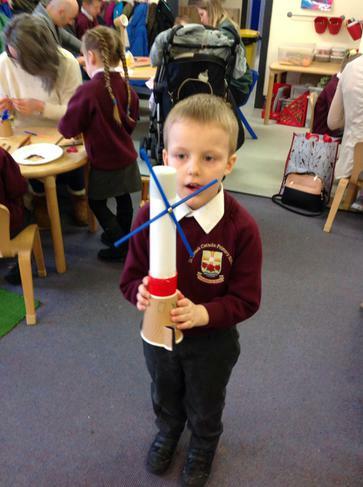 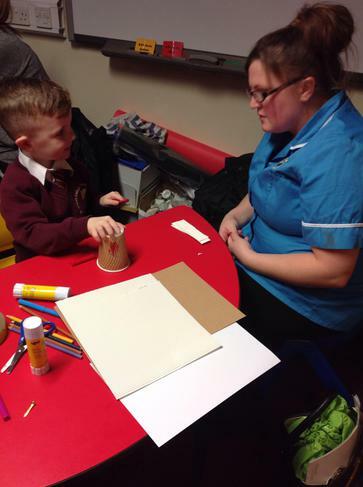 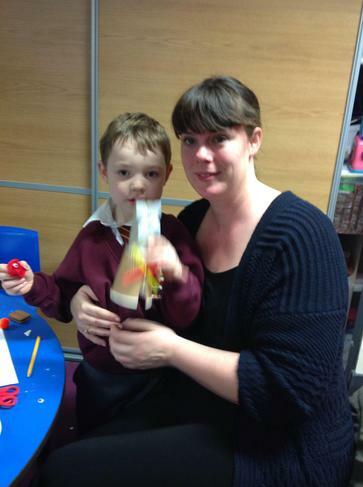 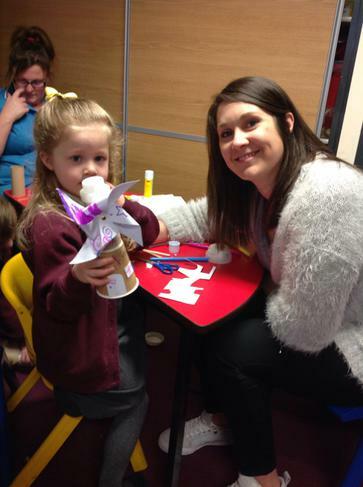 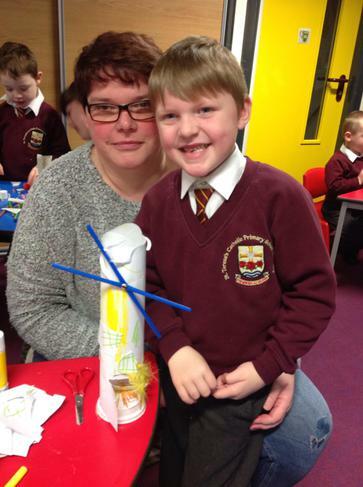 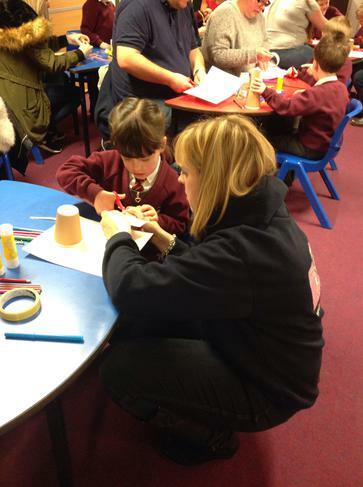 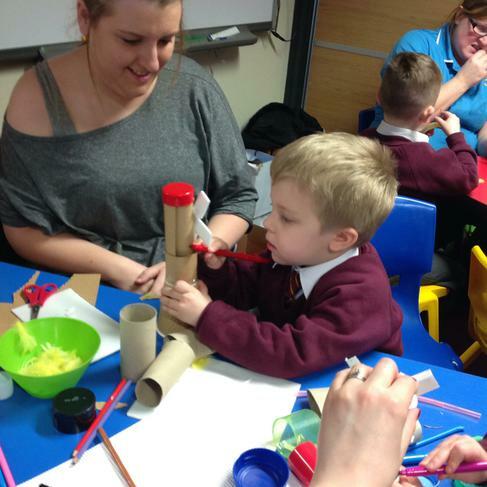 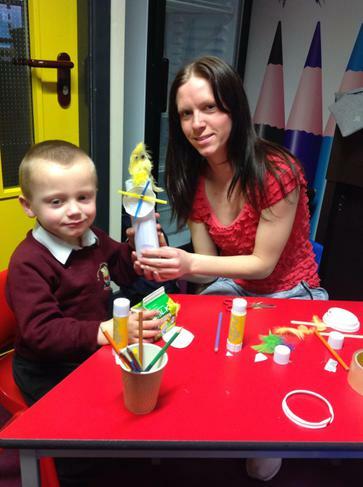 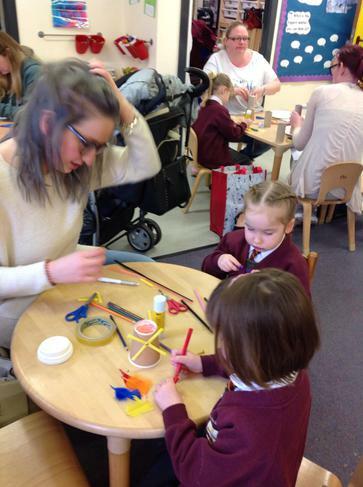 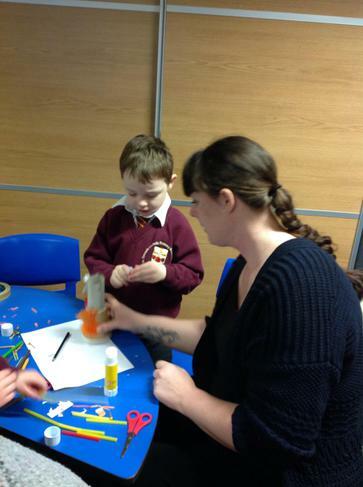 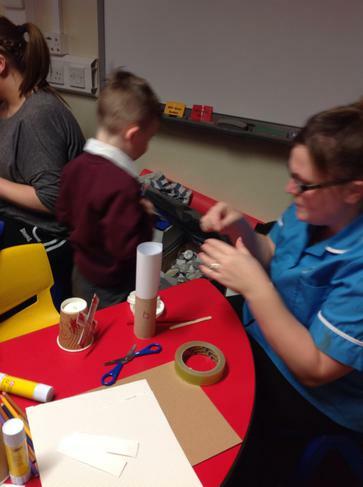 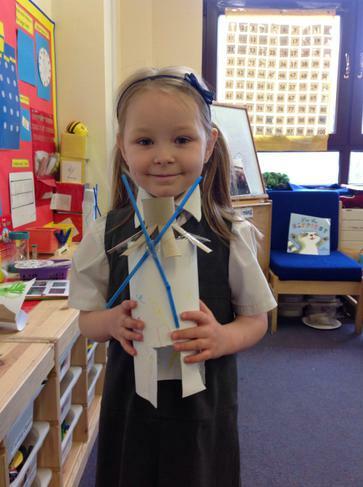 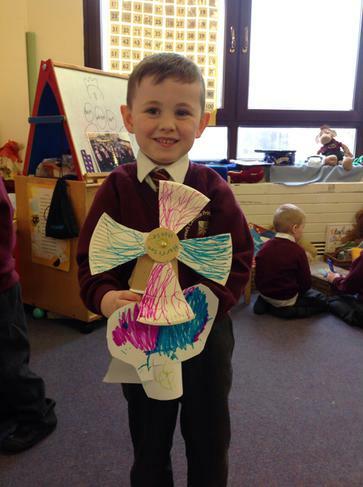 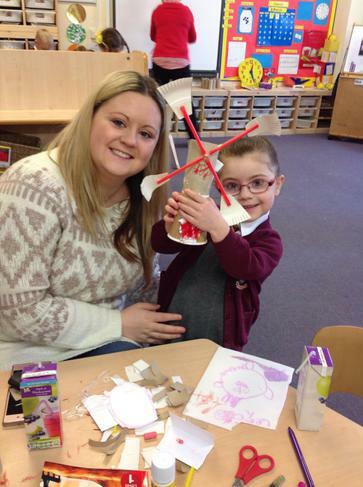 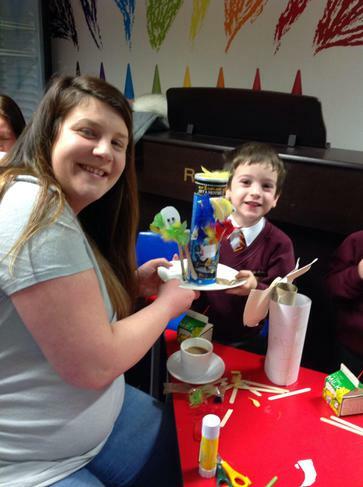 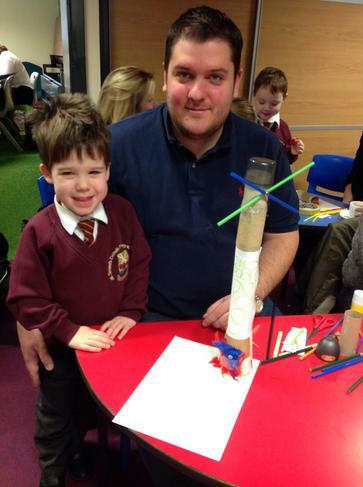 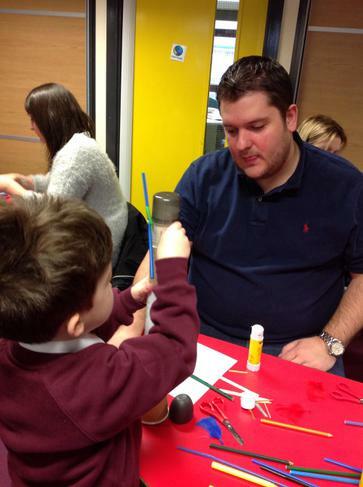 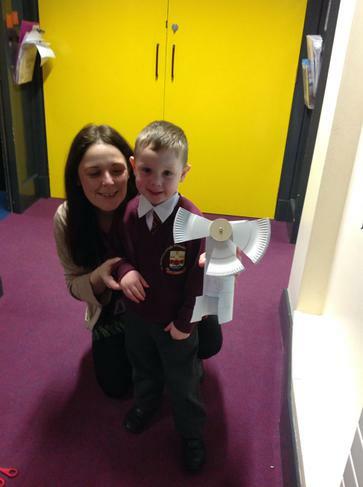 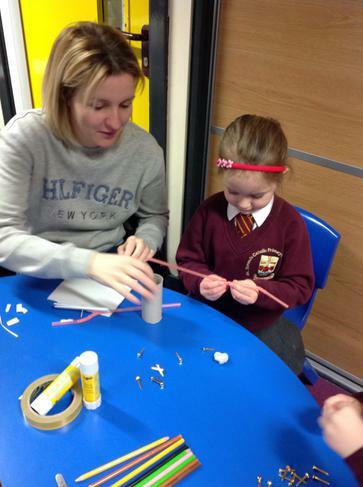 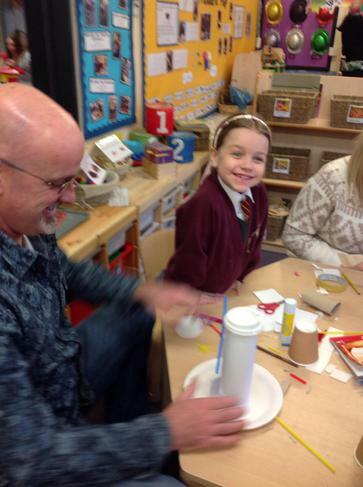 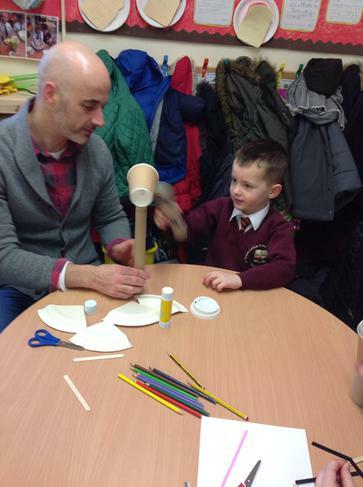 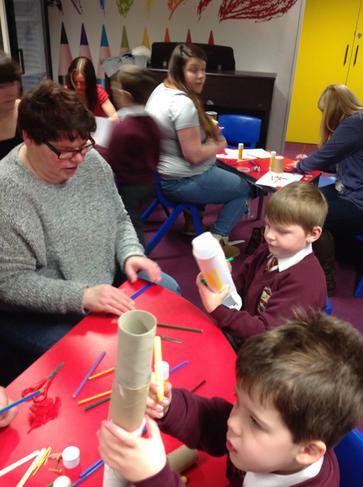 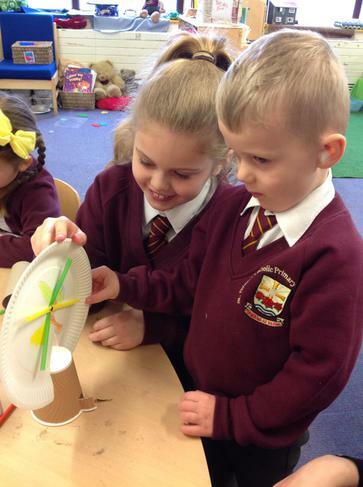 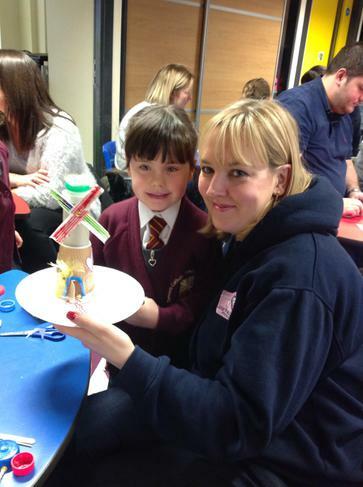 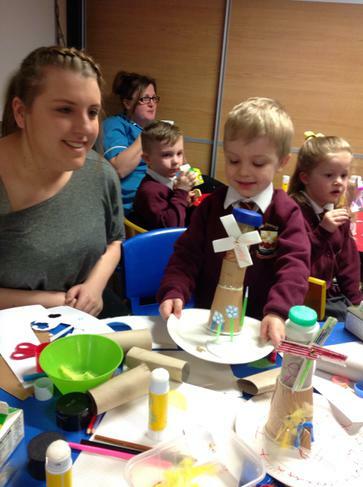 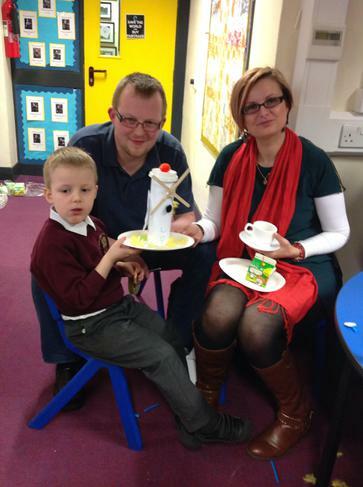 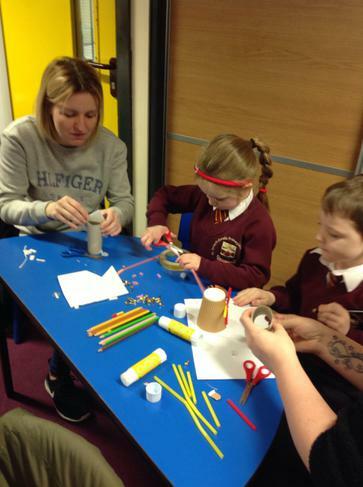 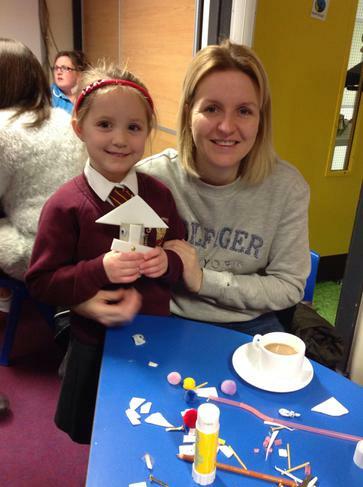 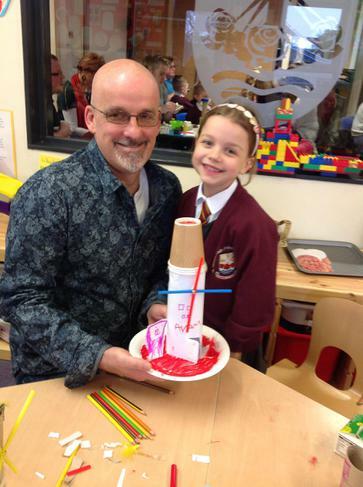 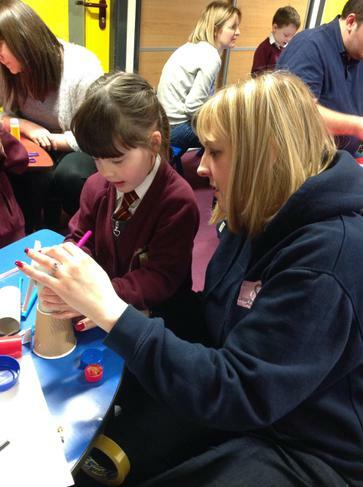 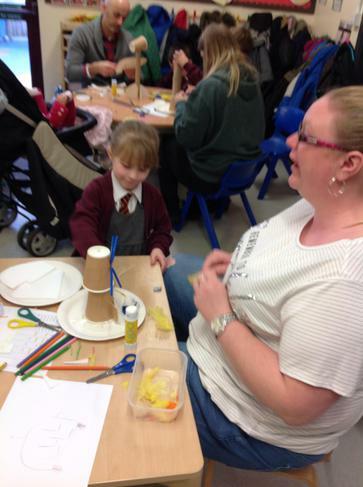 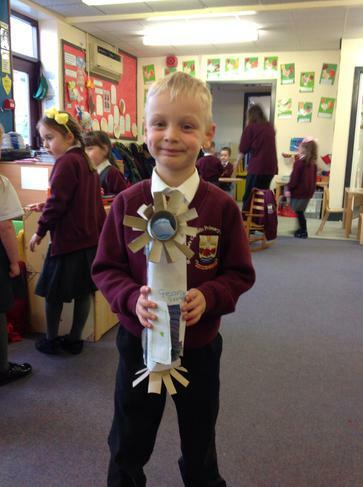 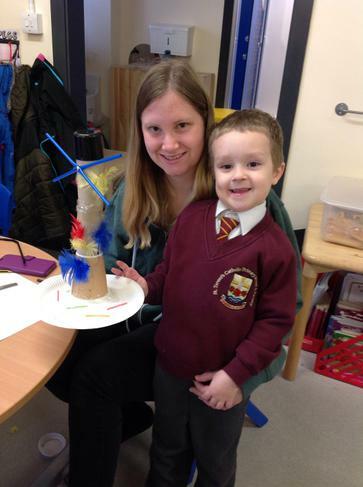 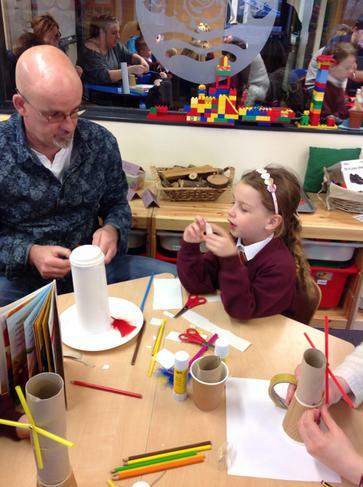 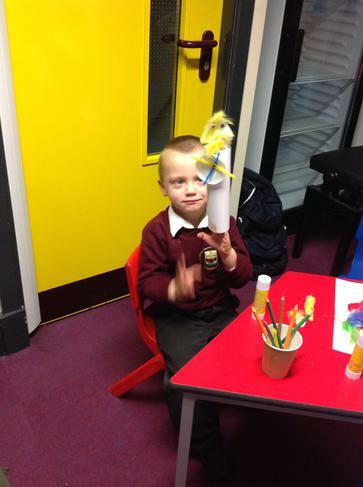 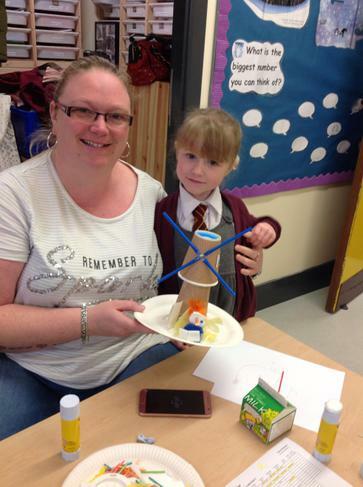 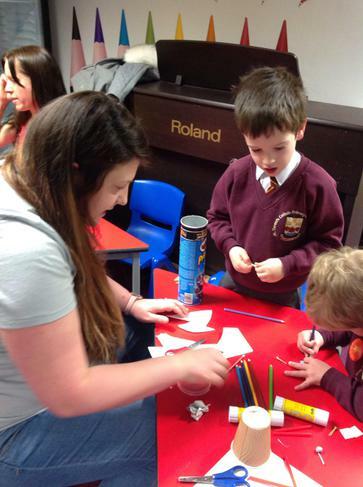 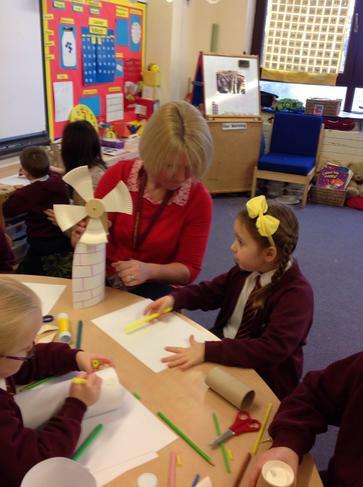 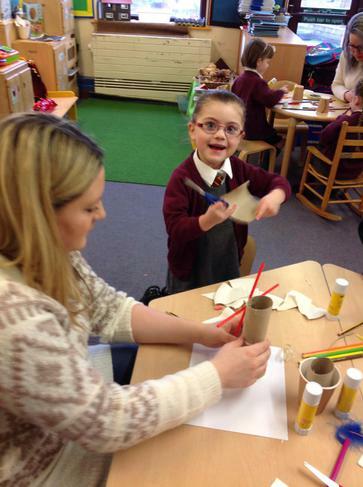 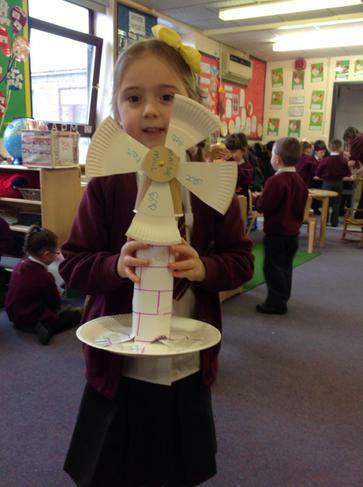 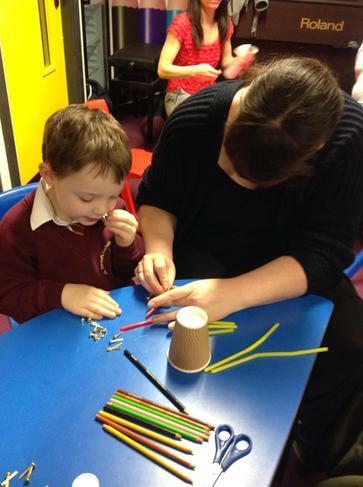 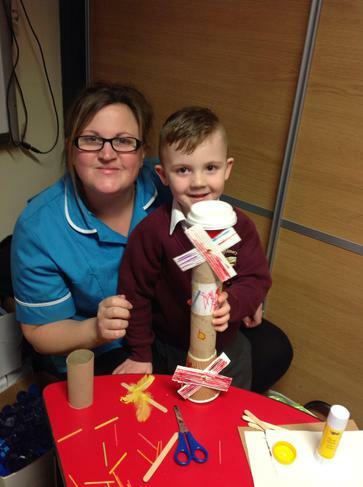 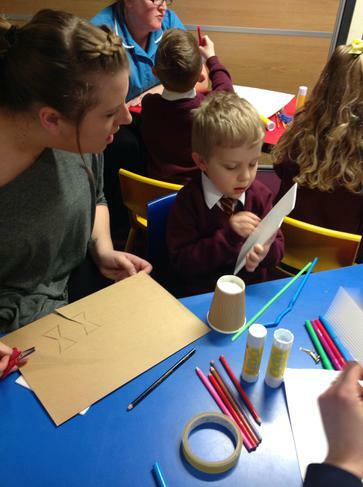 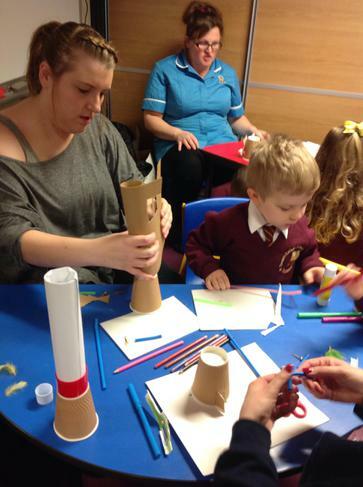 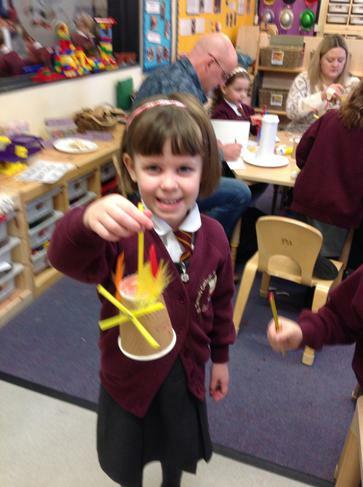 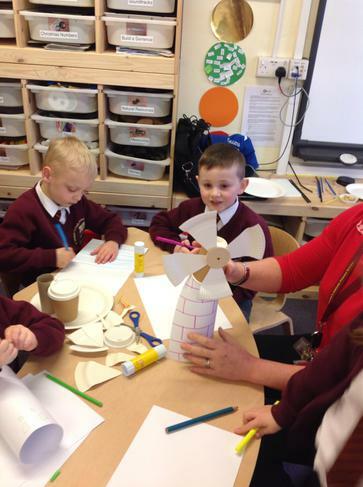 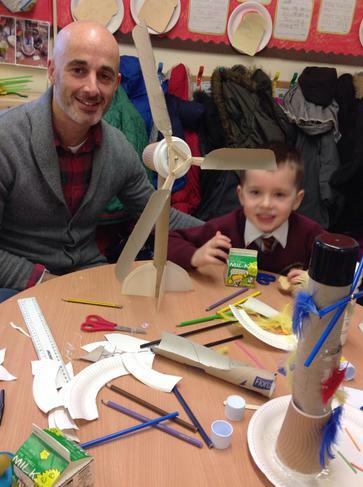 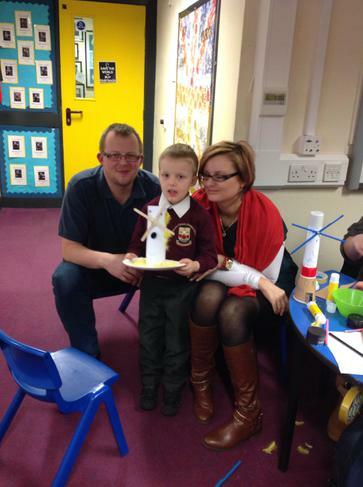 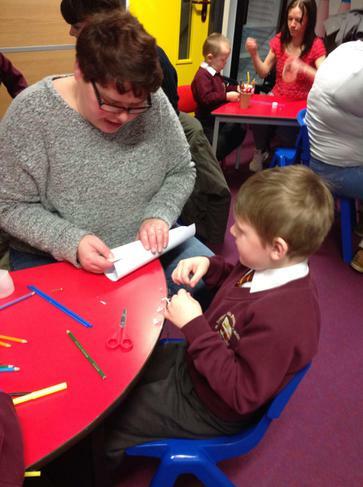 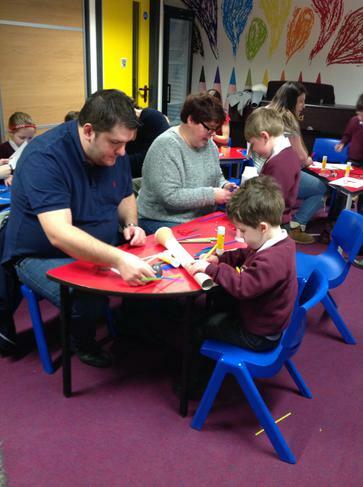 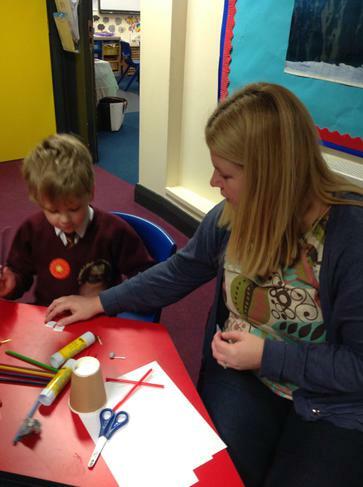 Our parents or grandparents joined us to make a windmill from the story. 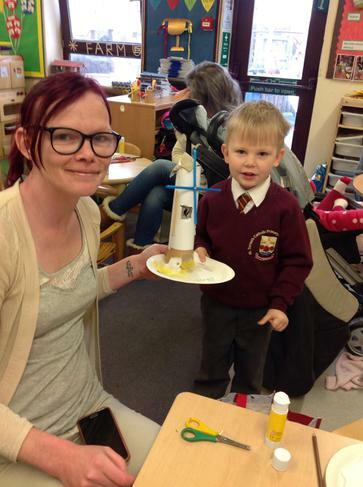 As always, we had some wonderful models made and a great morning. 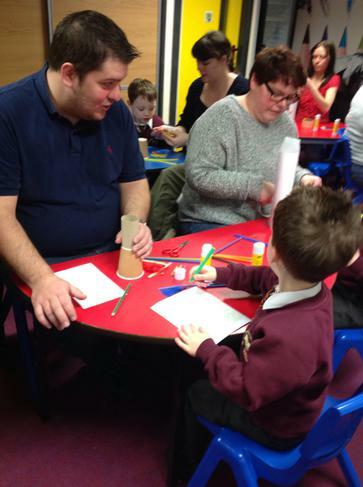 Thank you to all those who were able to attend. 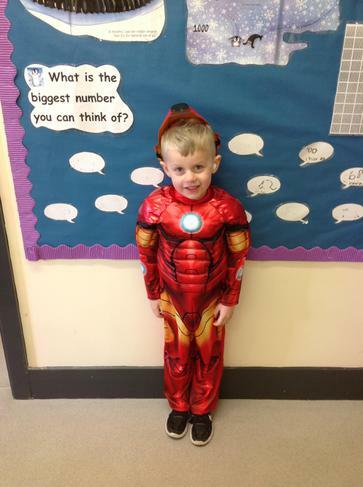 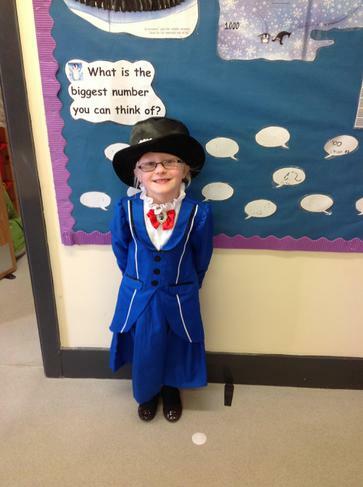 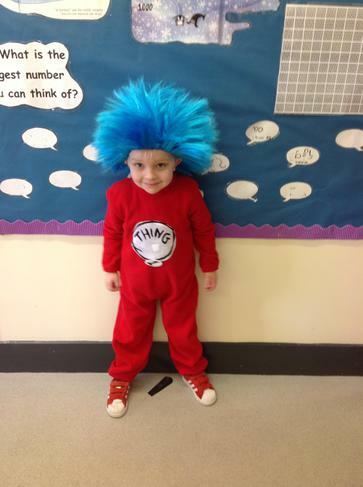 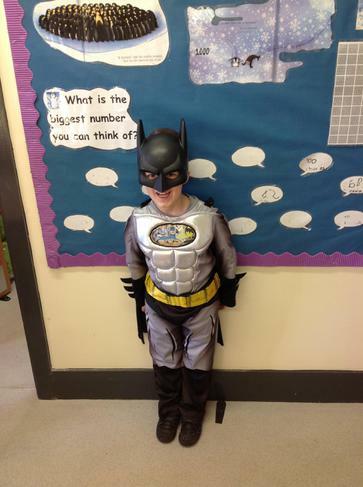 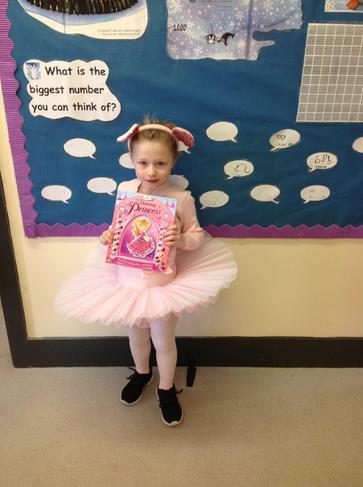 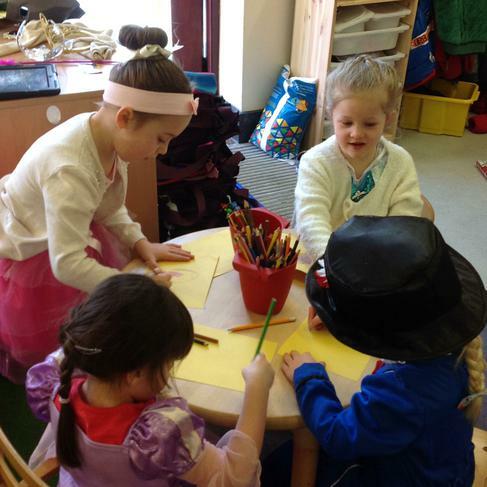 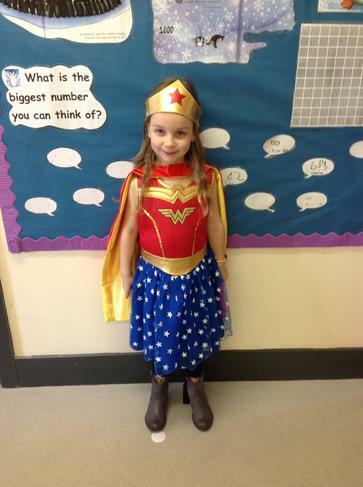 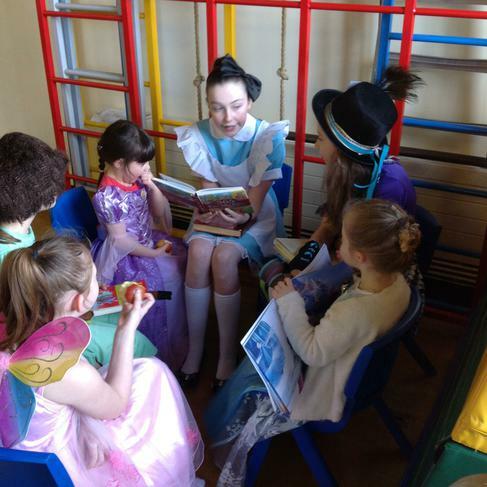 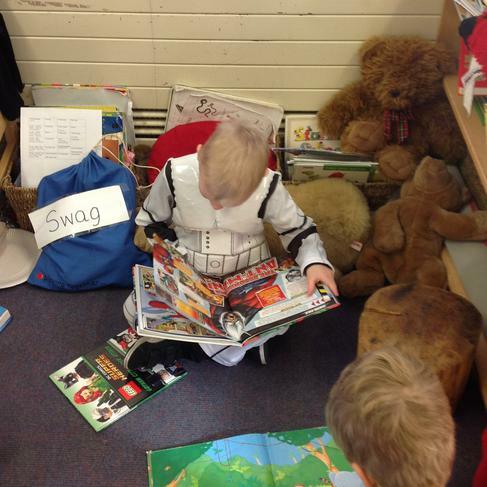 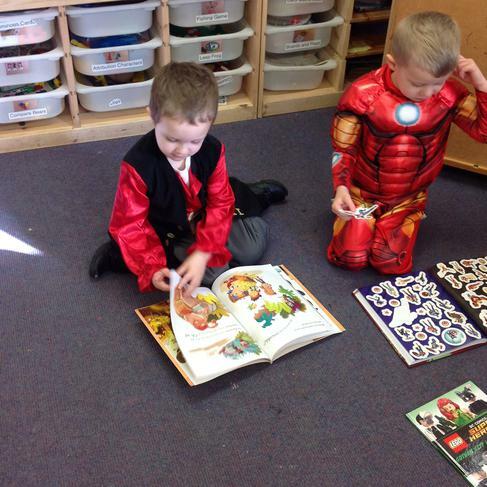 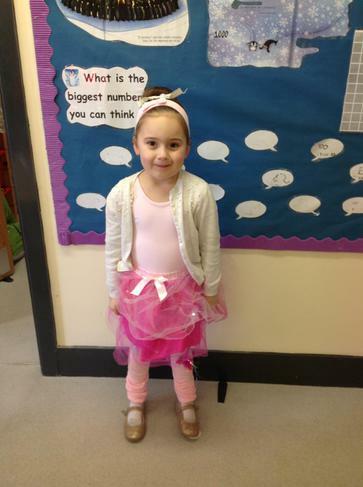 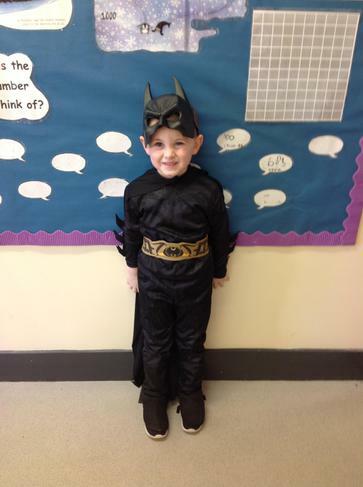 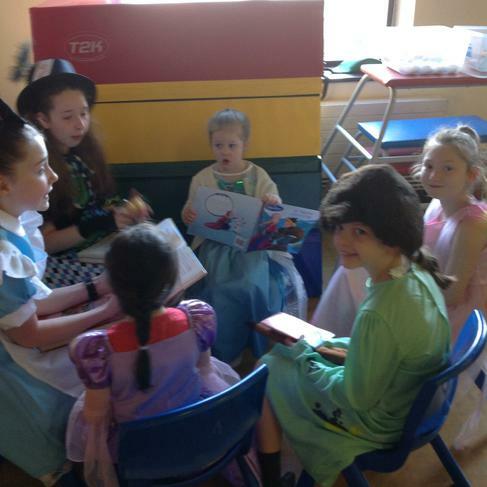 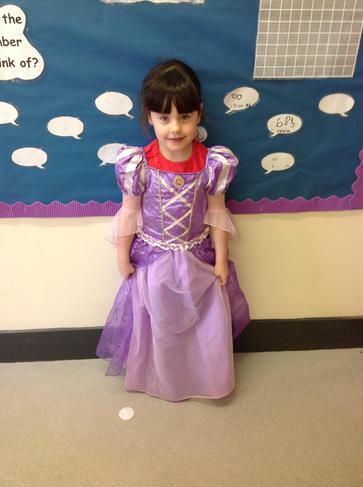 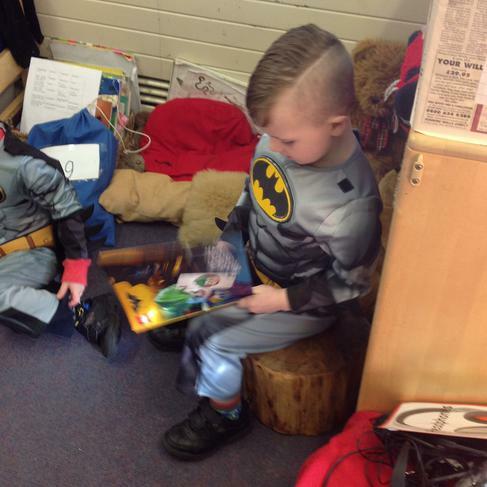 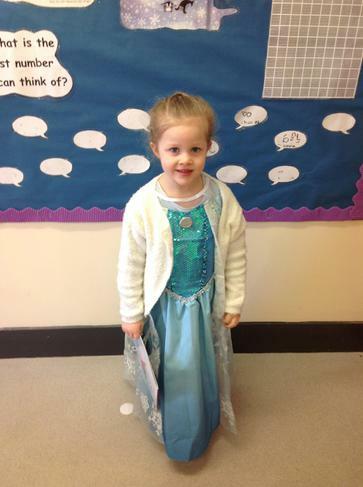 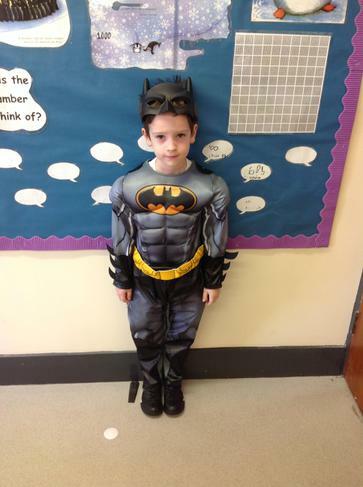 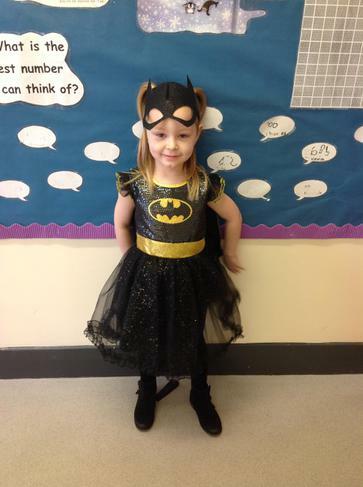 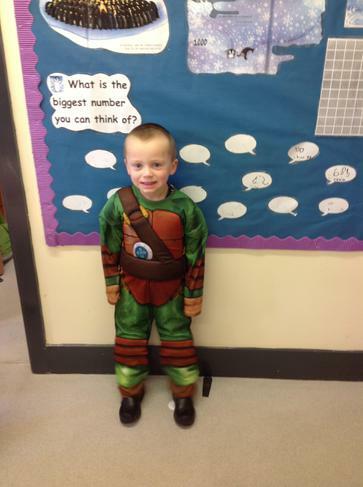 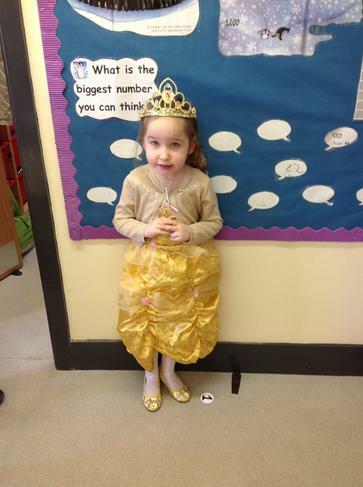 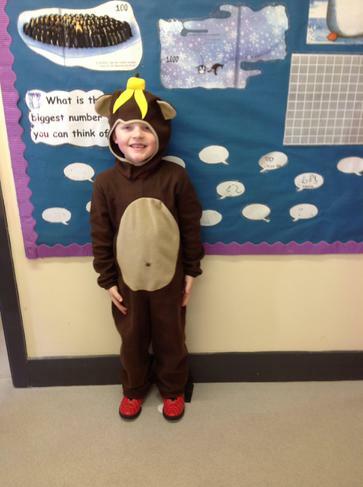 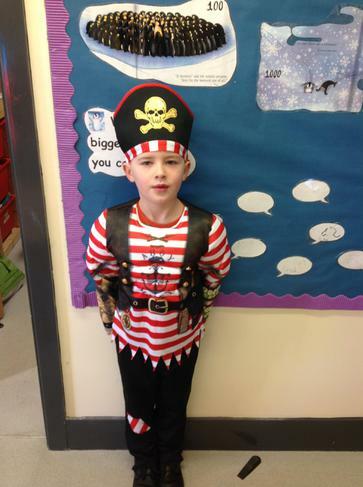 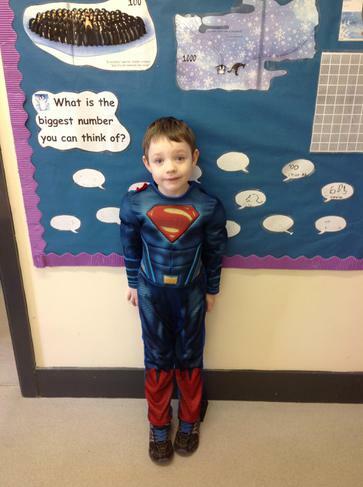 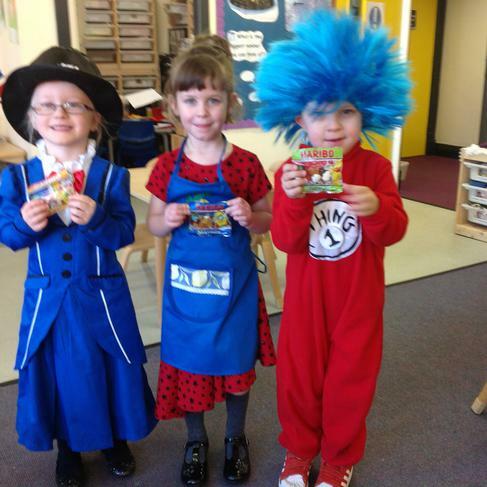 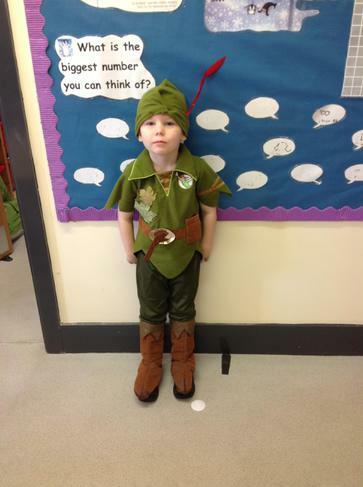 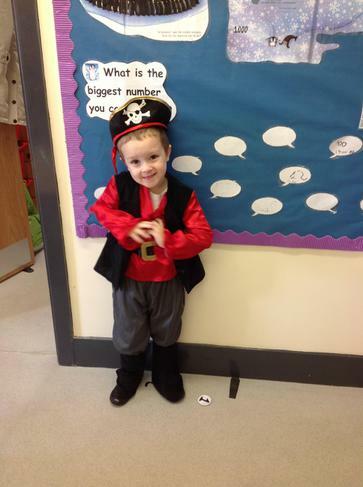 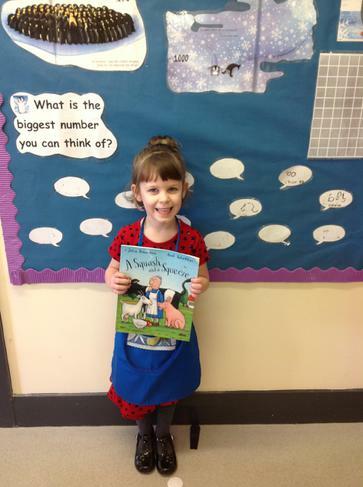 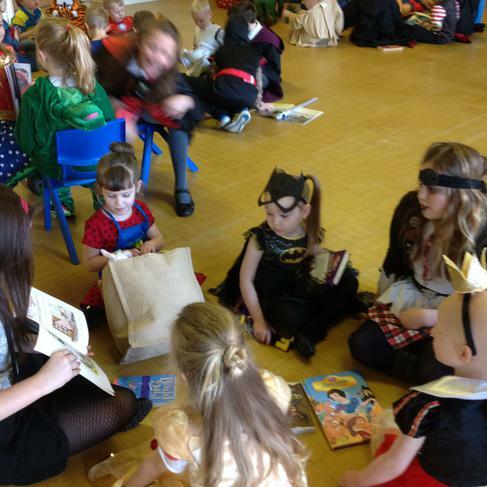 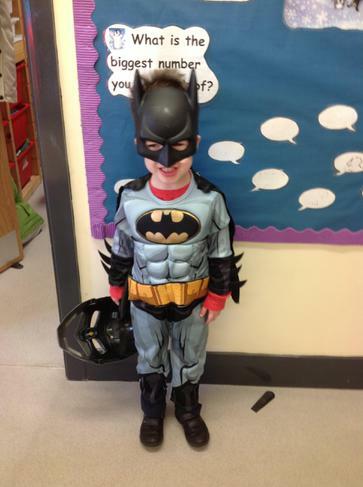 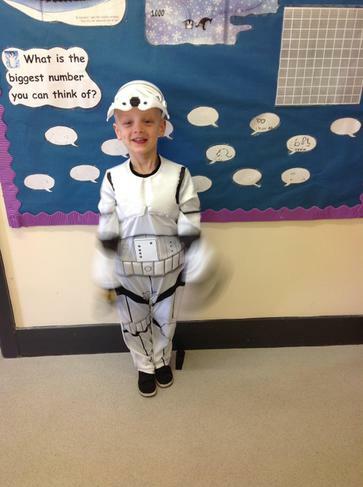 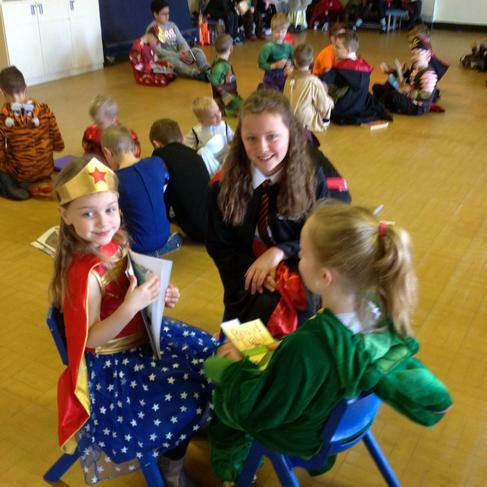 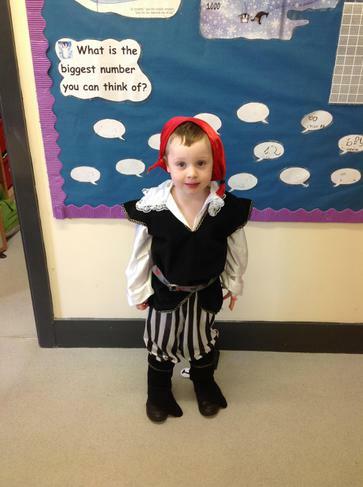 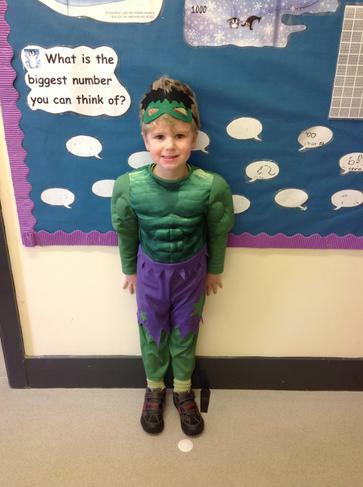 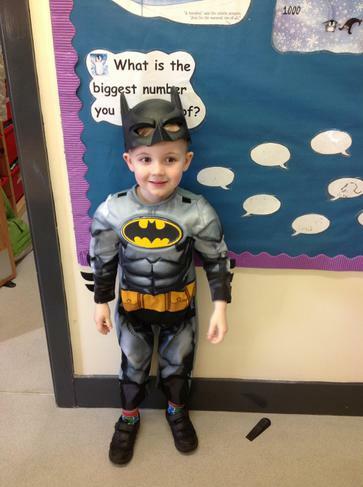 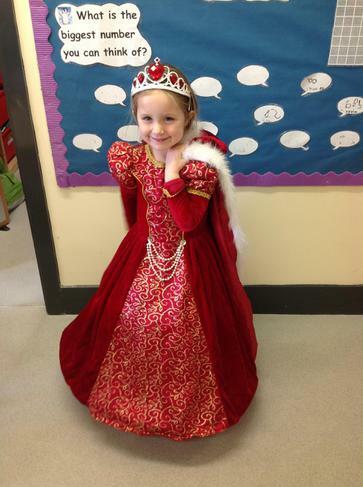 Reception children looked fantastic dressed as their favourite book character. 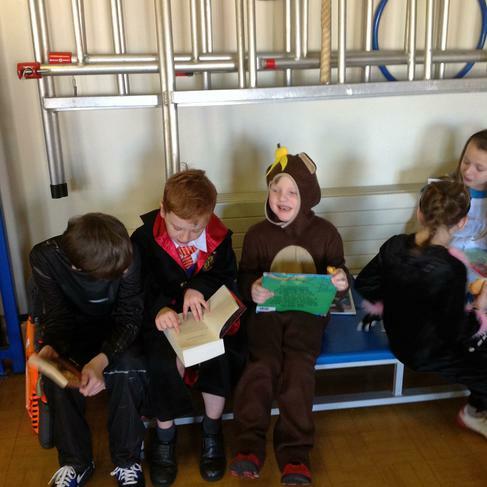 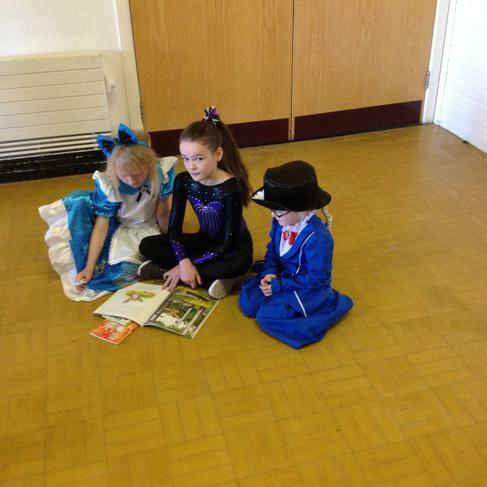 They enjoyed a leisurely breakfast and story session with their buddies in the school hall. 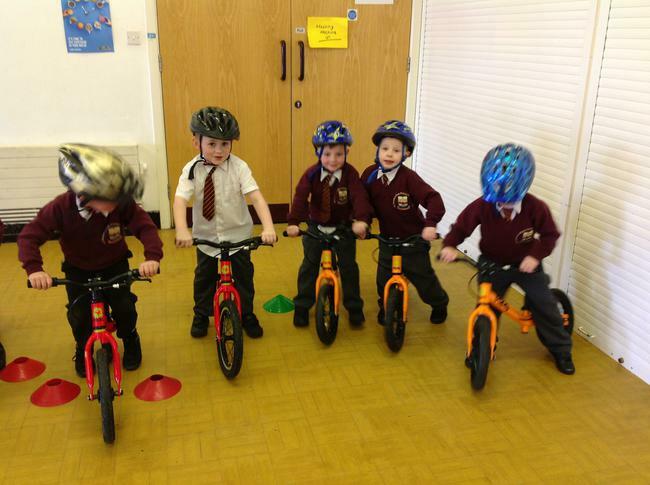 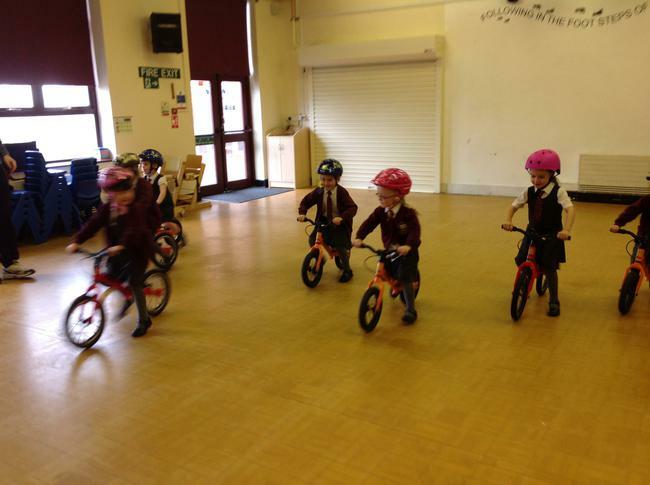 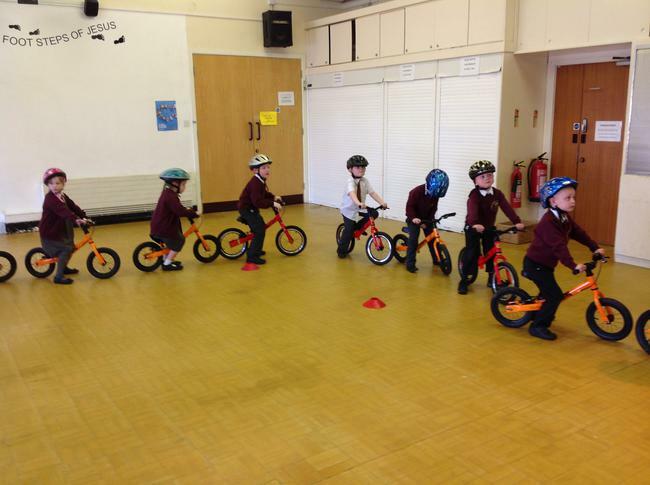 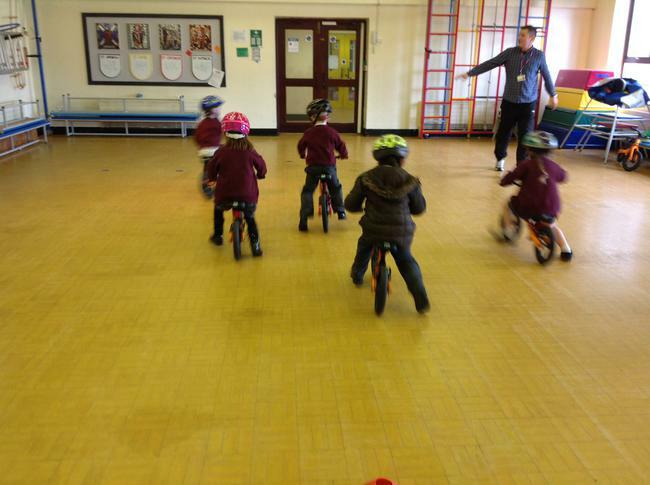 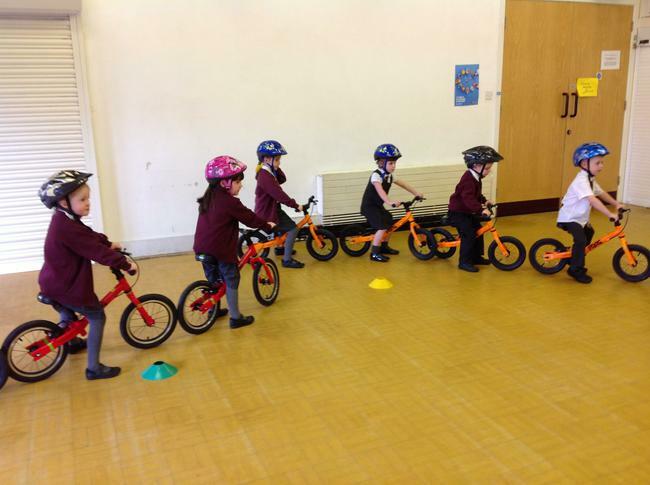 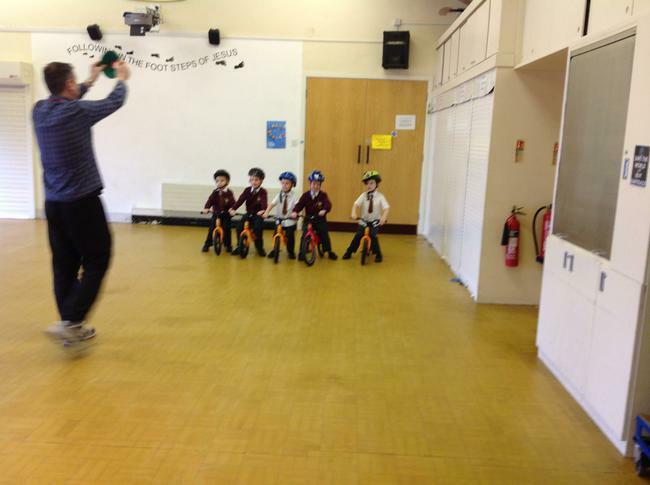 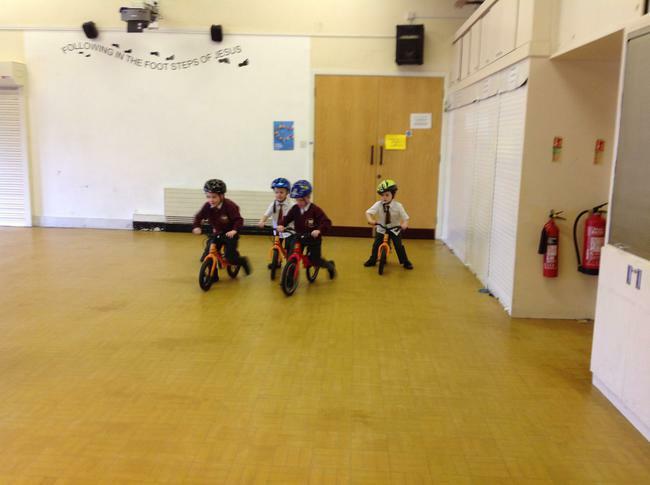 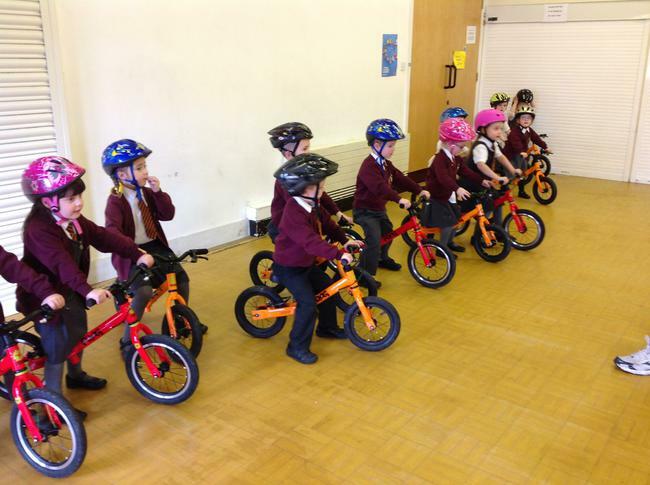 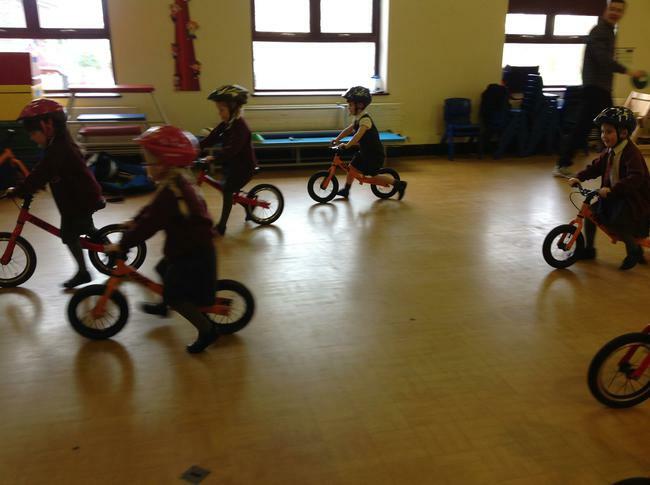 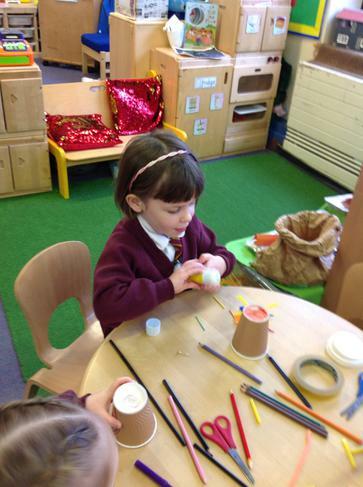 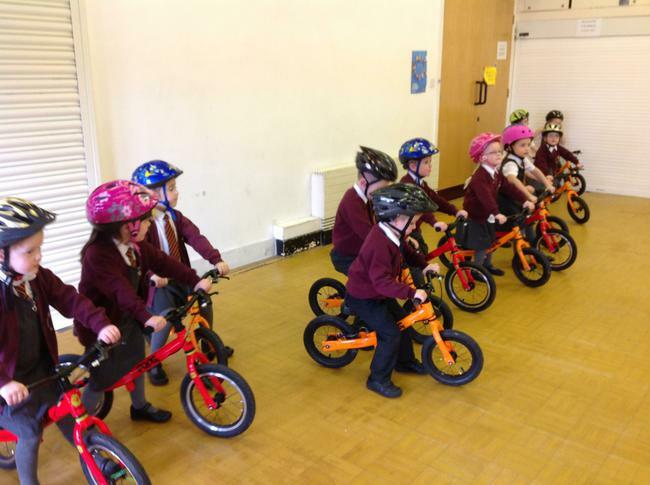 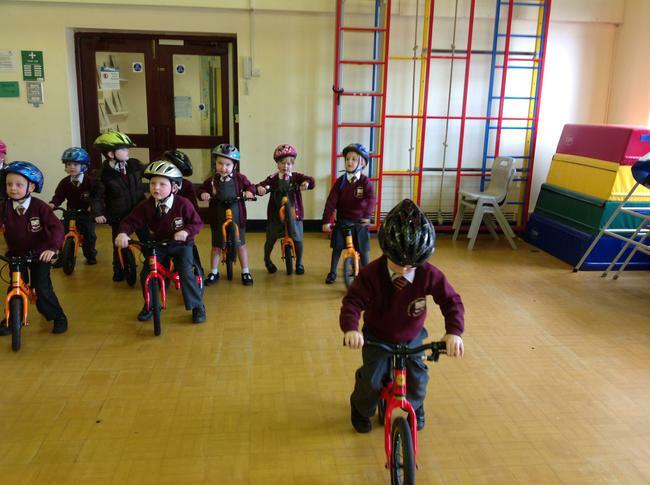 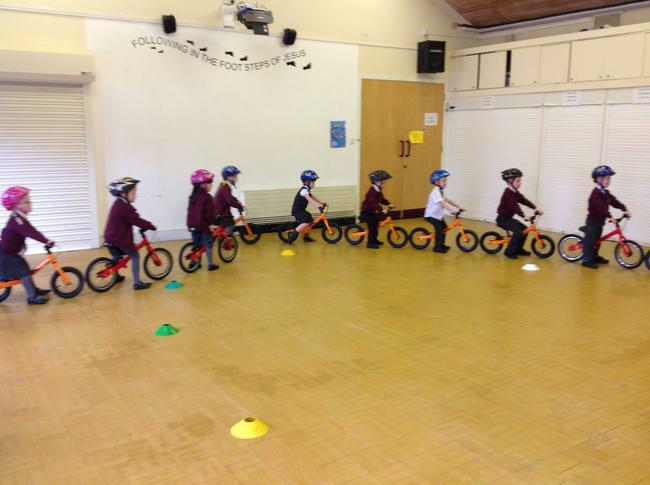 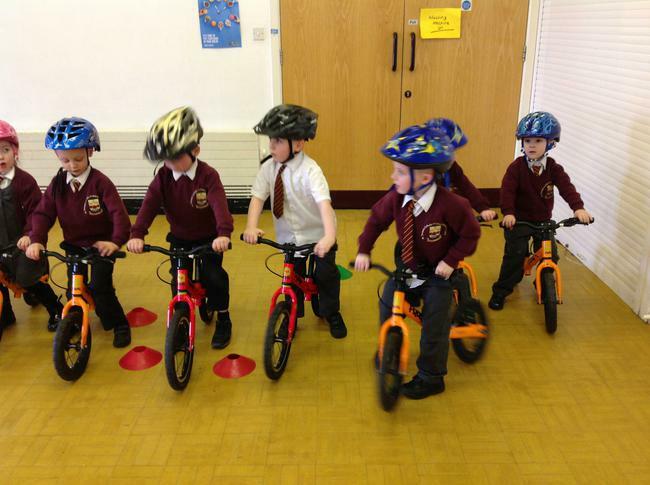 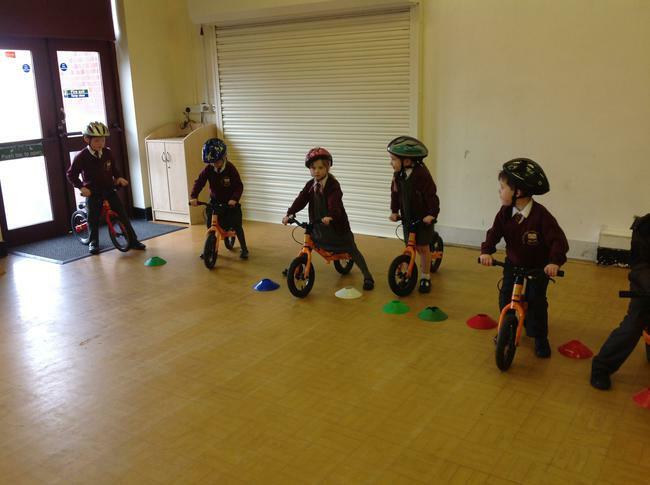 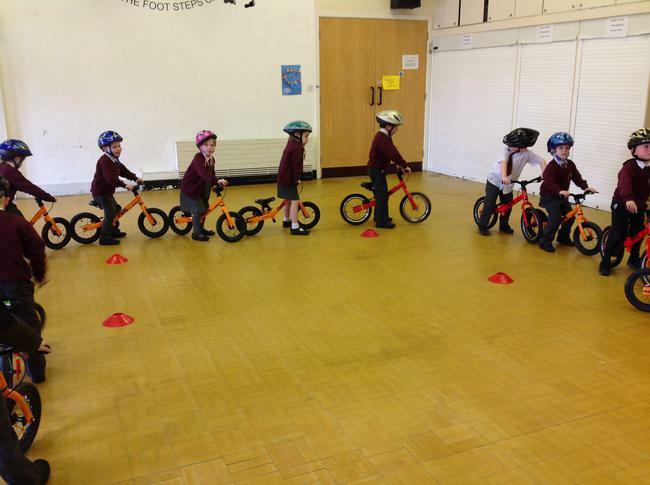 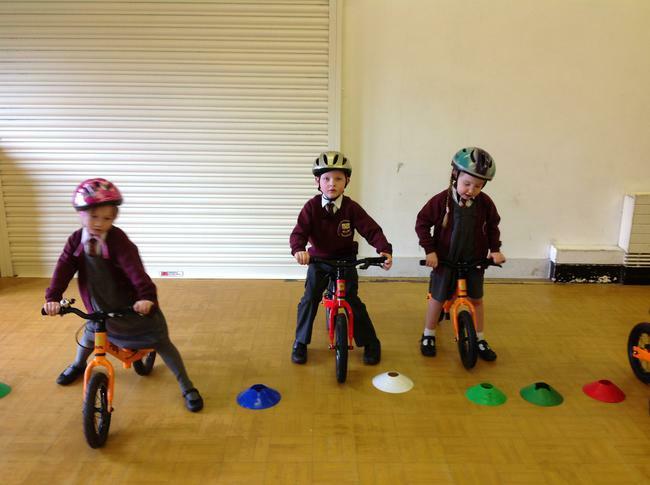 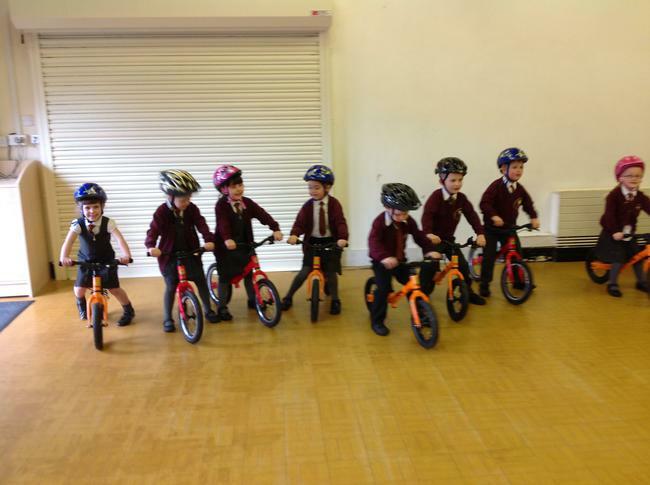 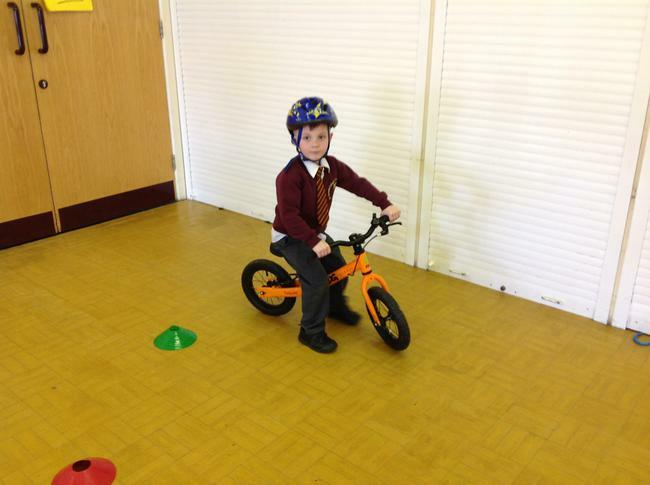 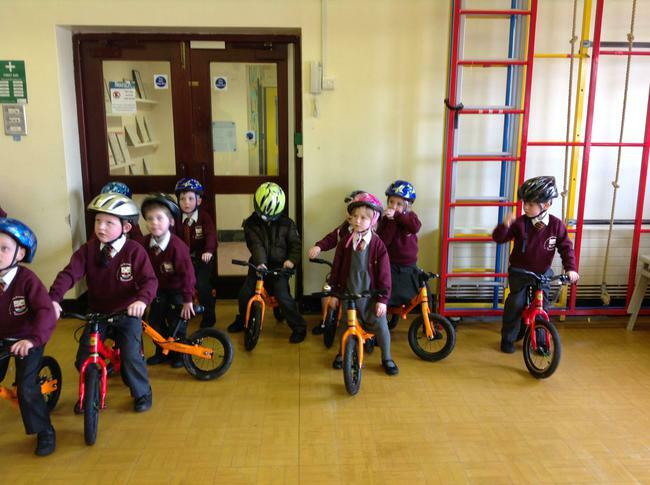 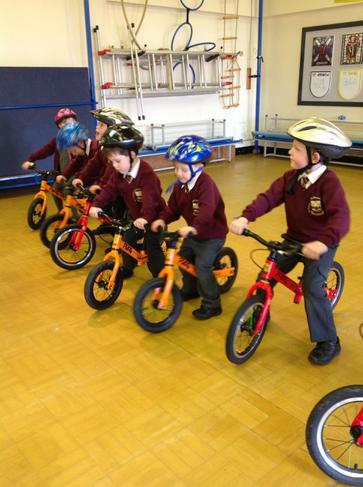 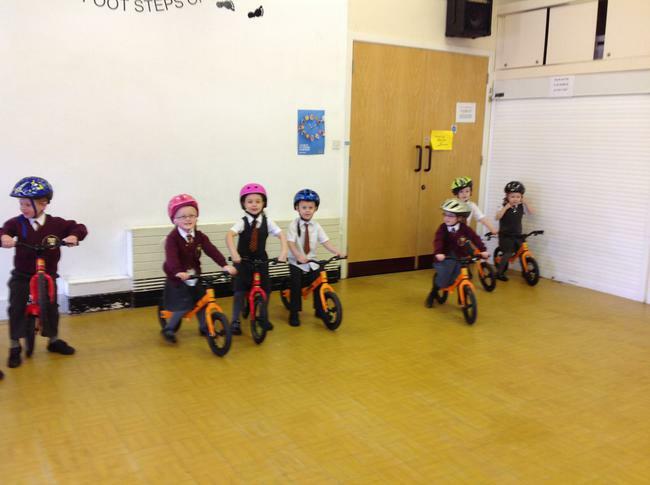 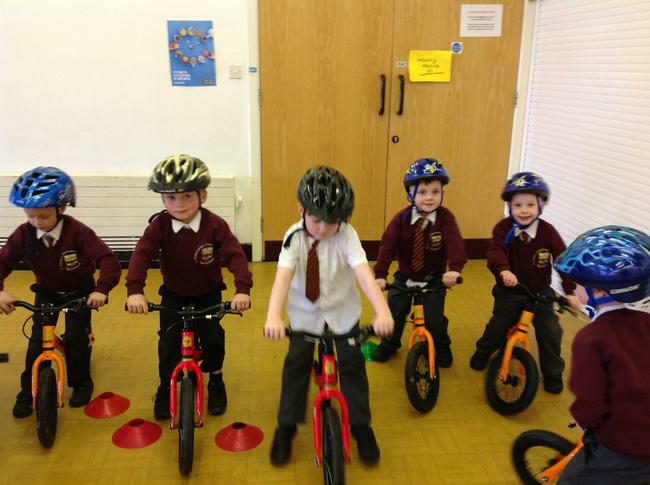 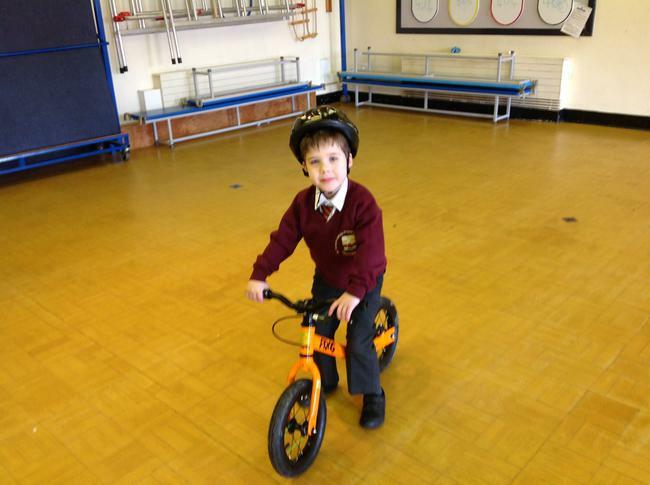 Each Friday during this half term, Reception will be learning how to ride balance bikes. 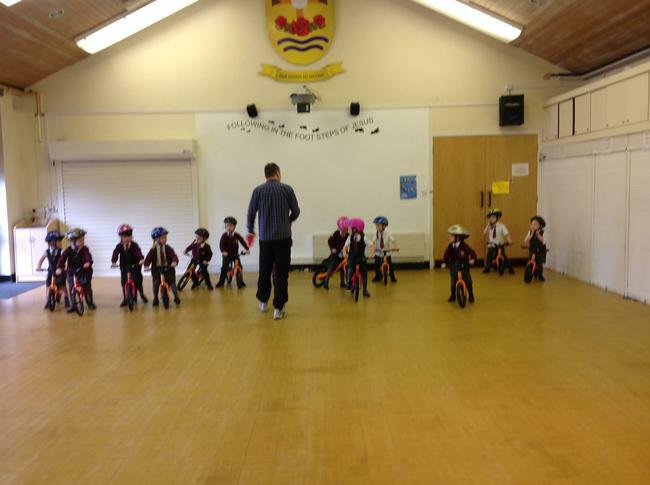 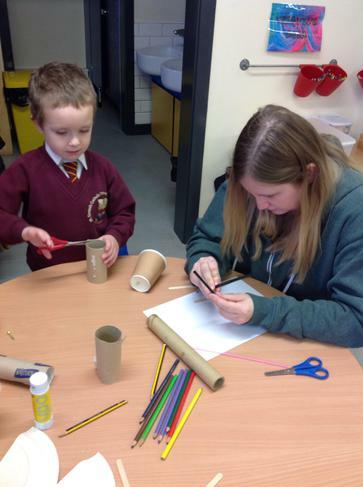 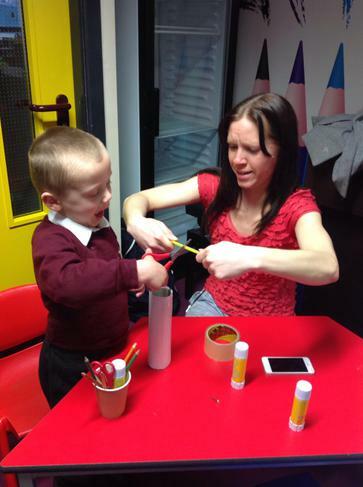 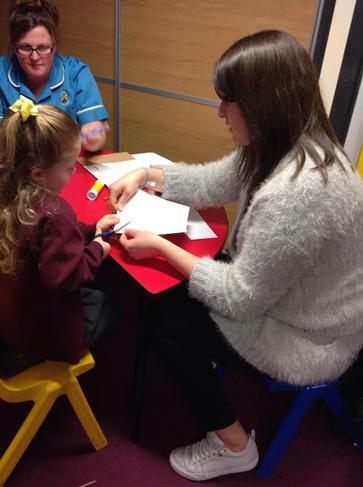 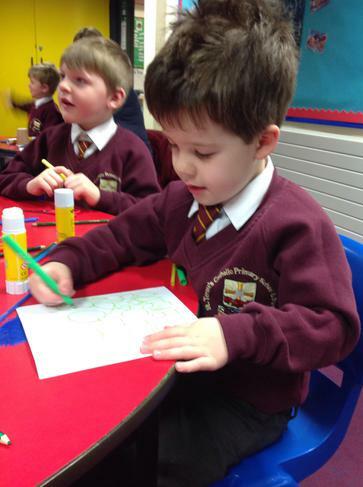 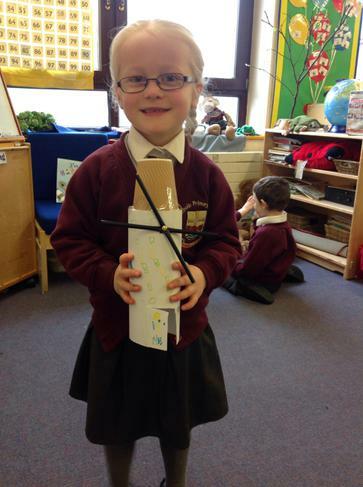 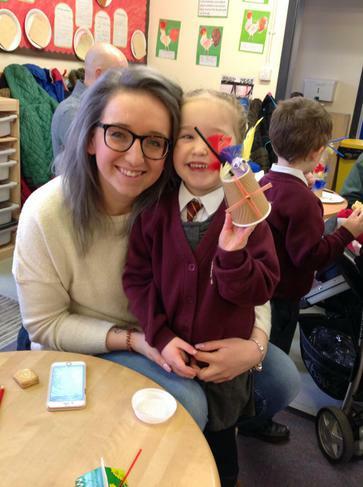 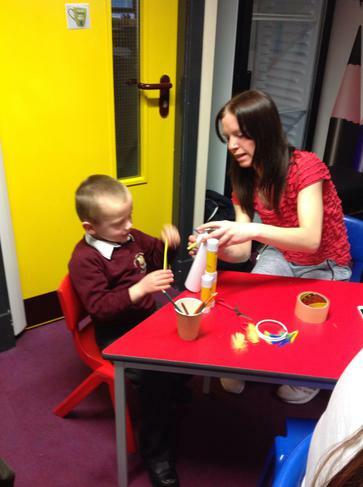 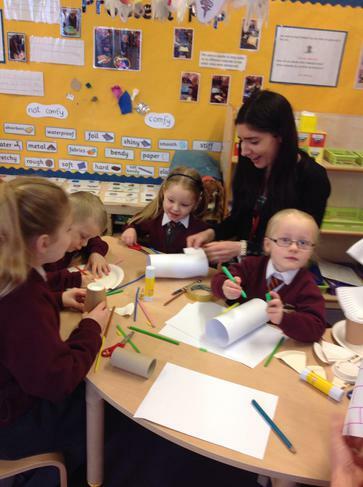 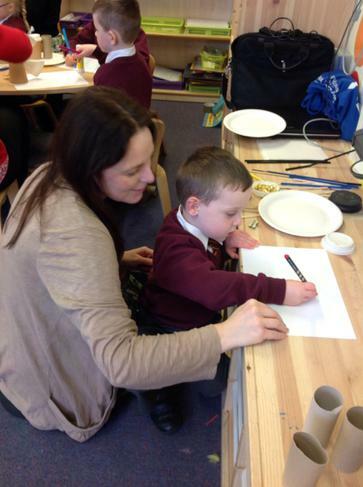 We had our first lesson on Friday 24th February and had a fantastic time. 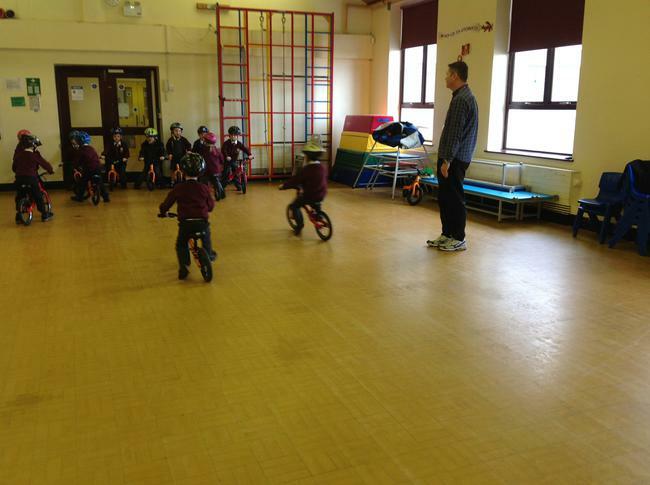 Over the next few weeks we will be learning how to stop and start, balance and ride in small spaces.